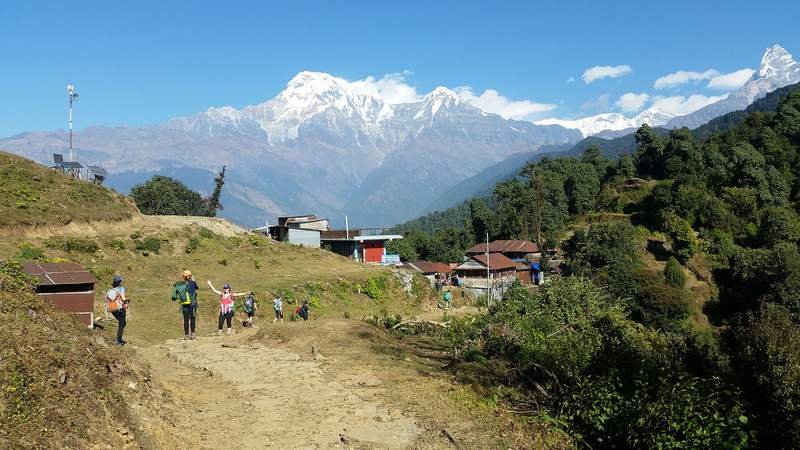 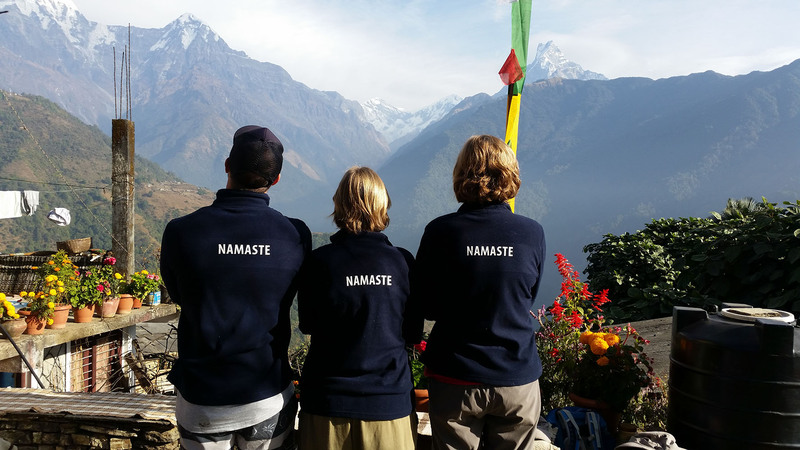 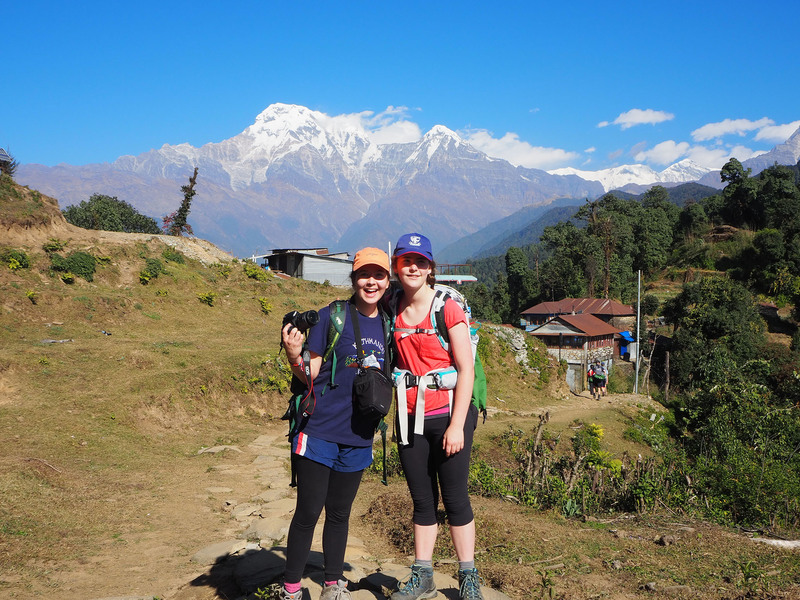 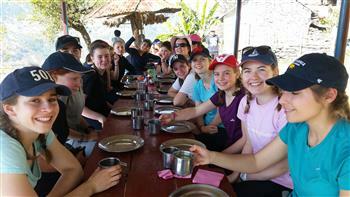 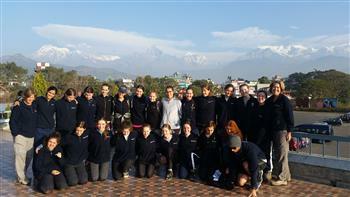 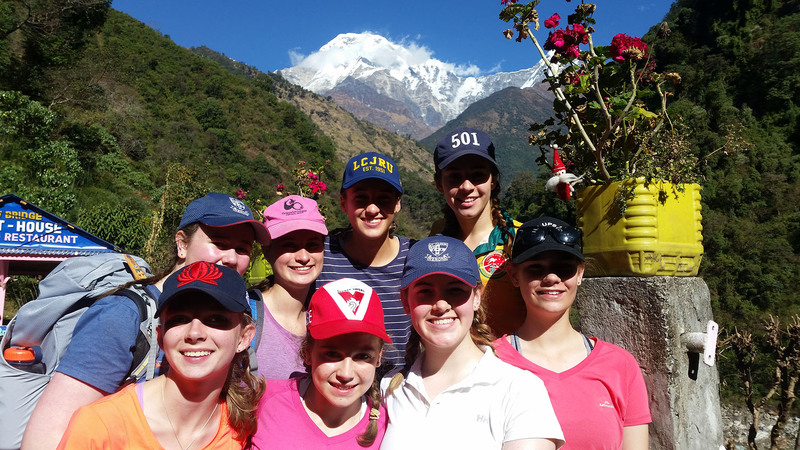 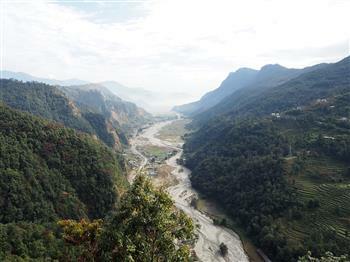 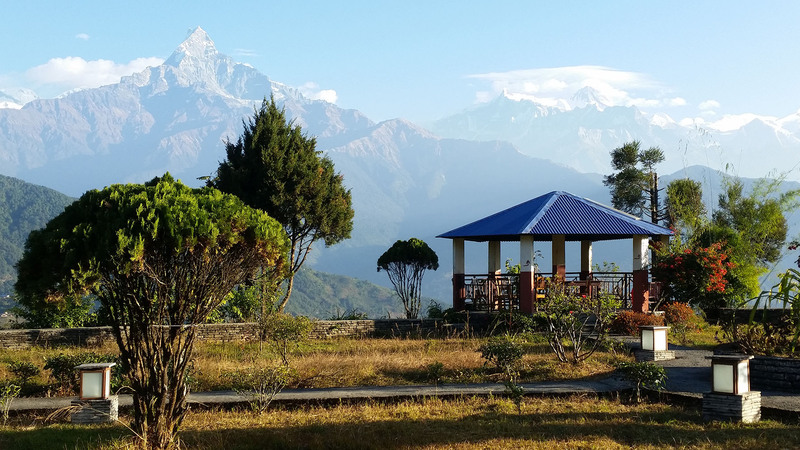 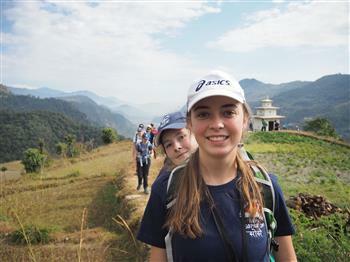 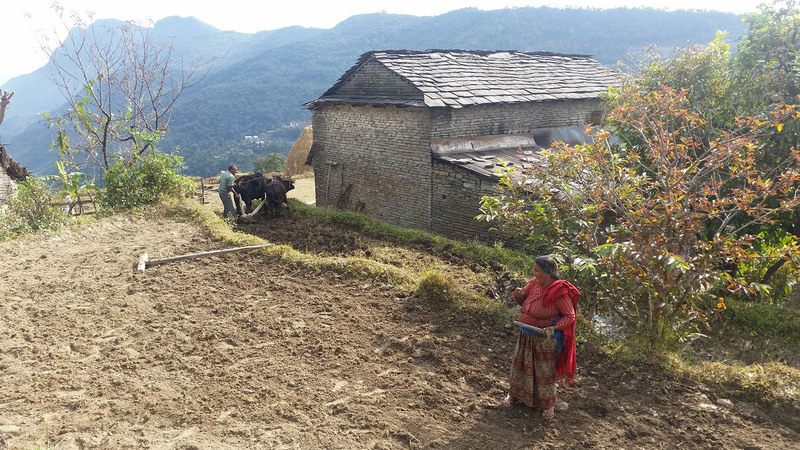 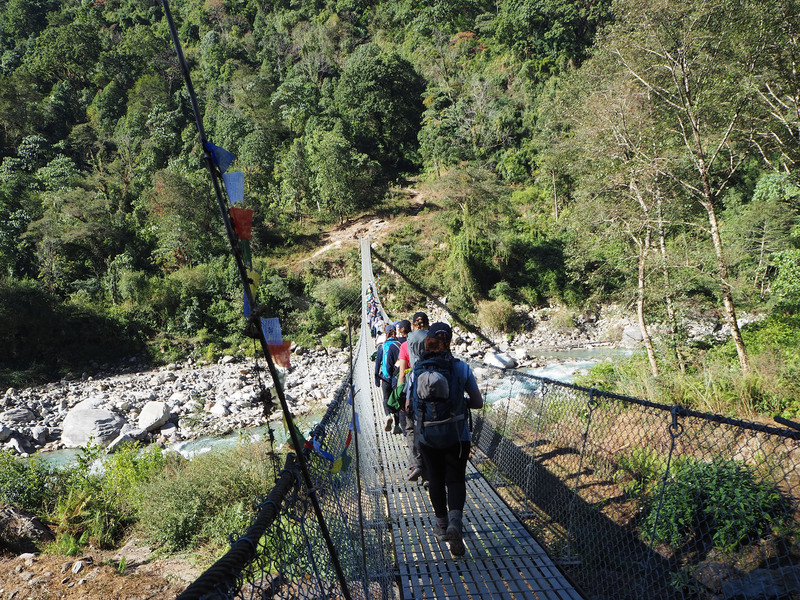 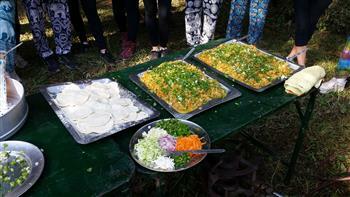 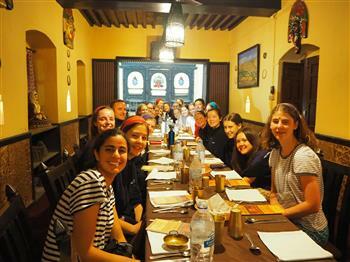 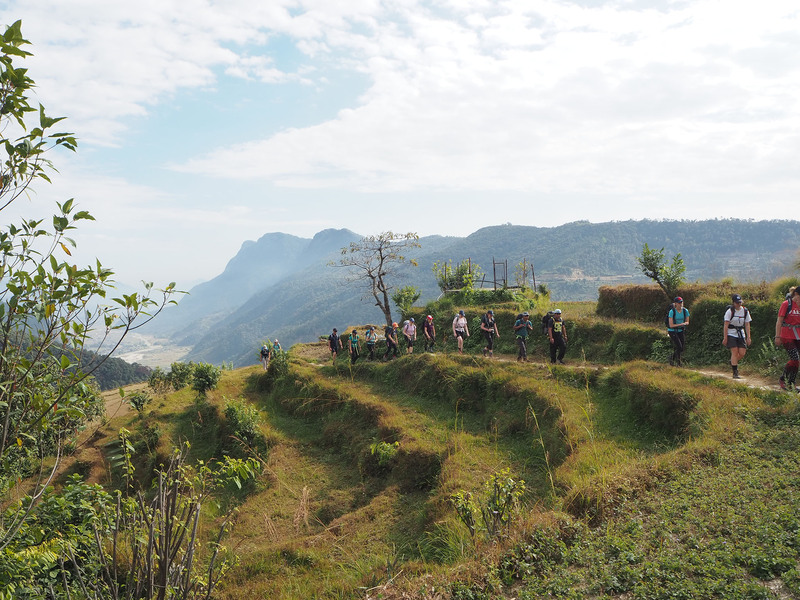 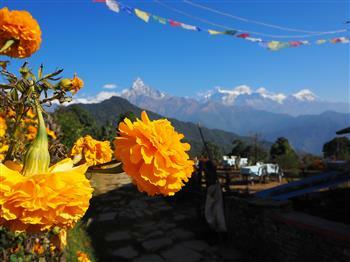 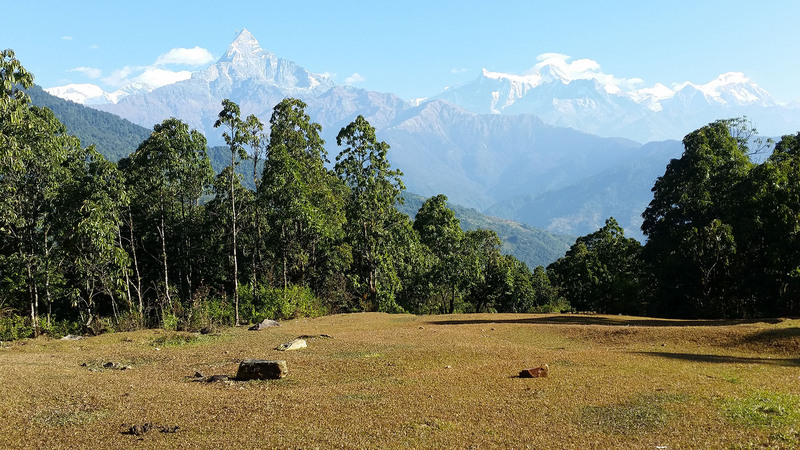 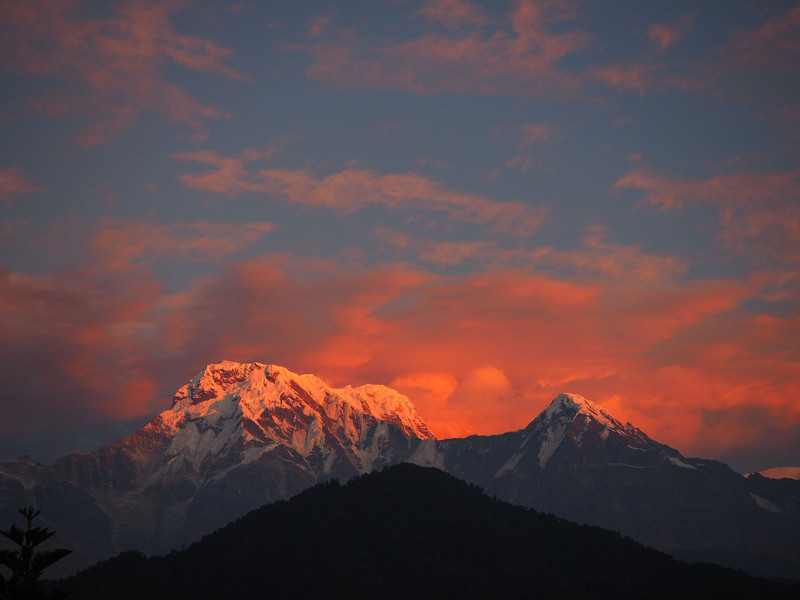 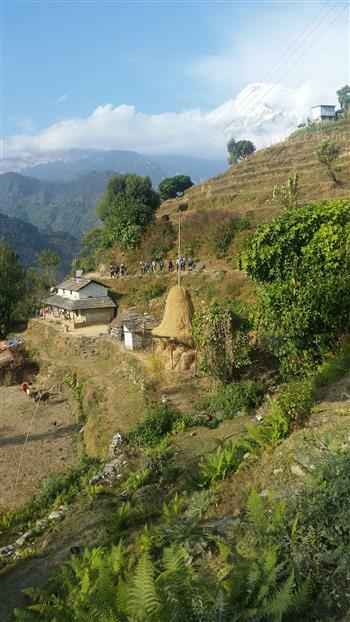 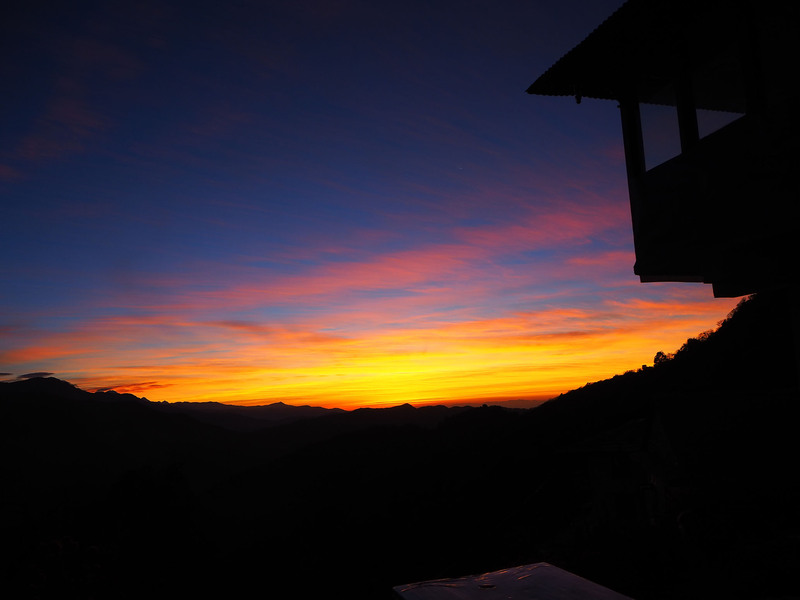 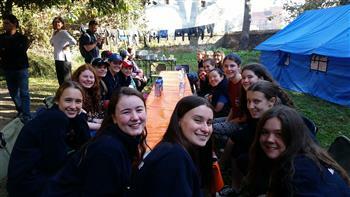 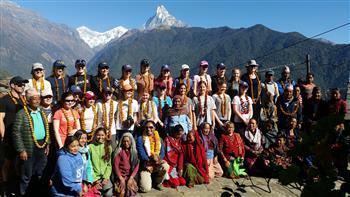 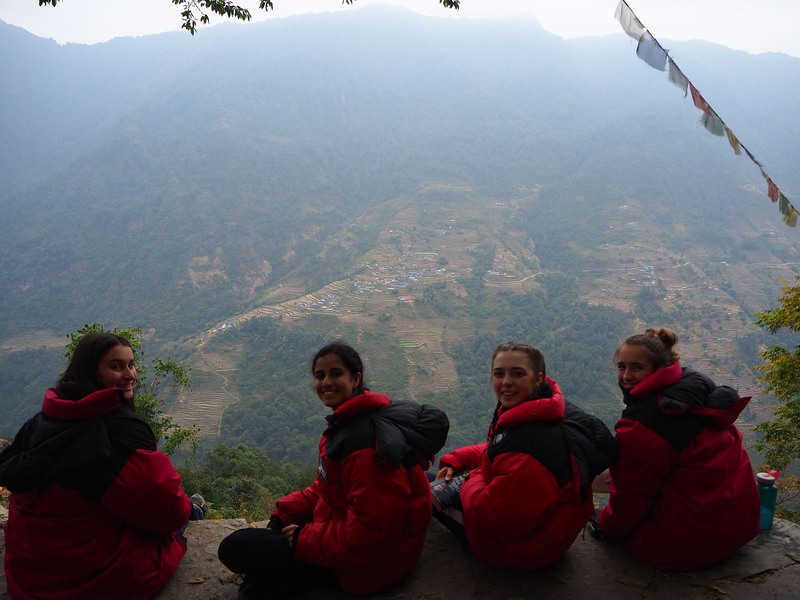 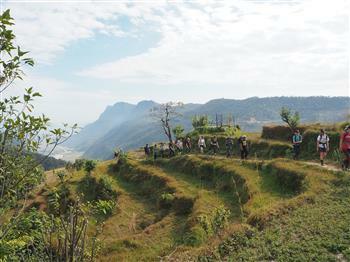 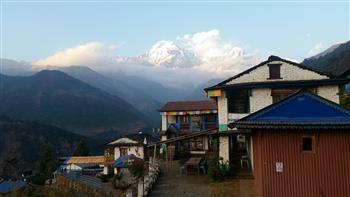 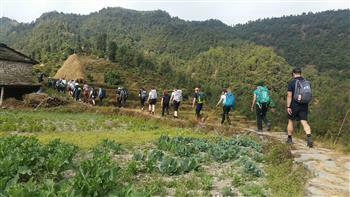 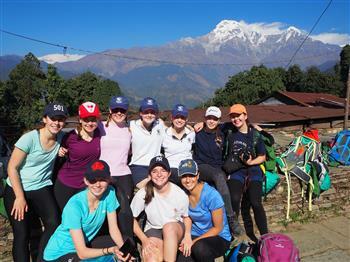 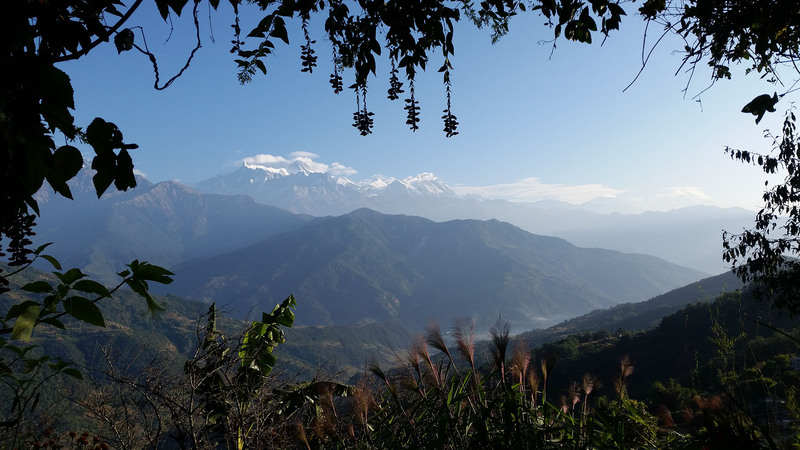 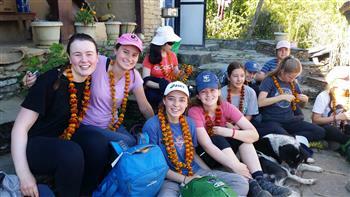 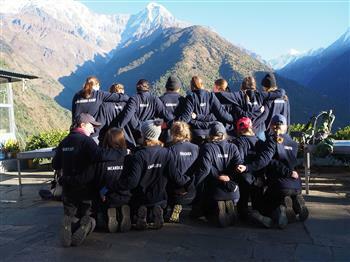 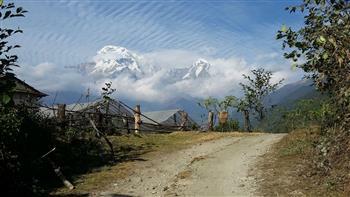 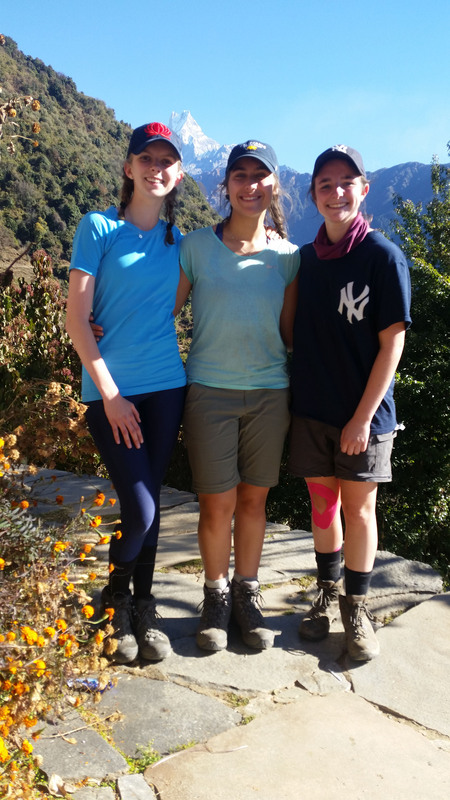 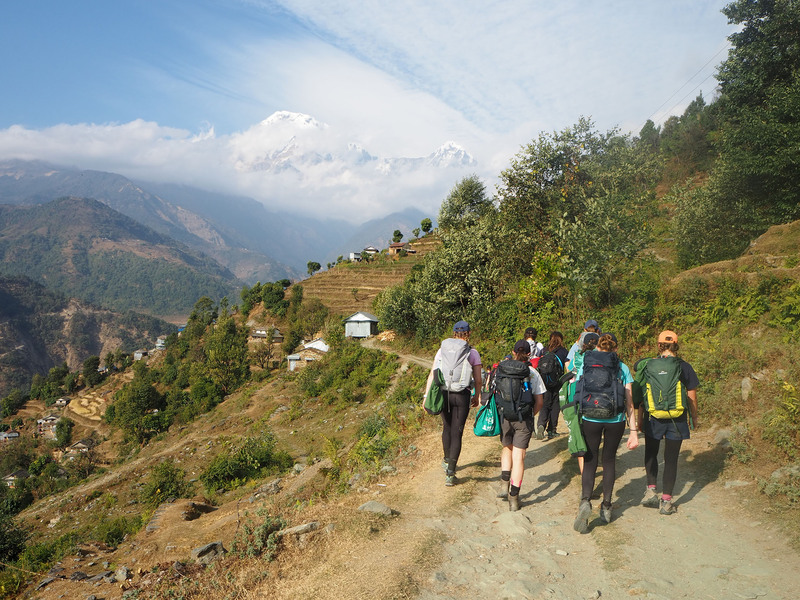 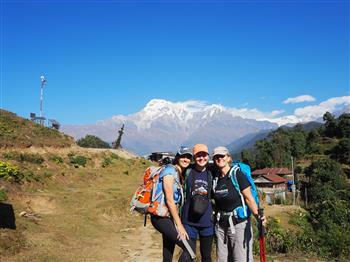 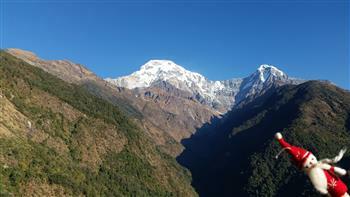 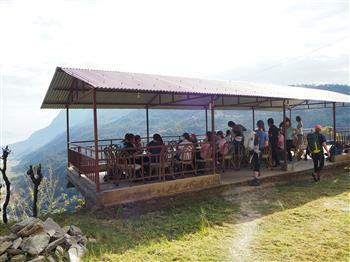 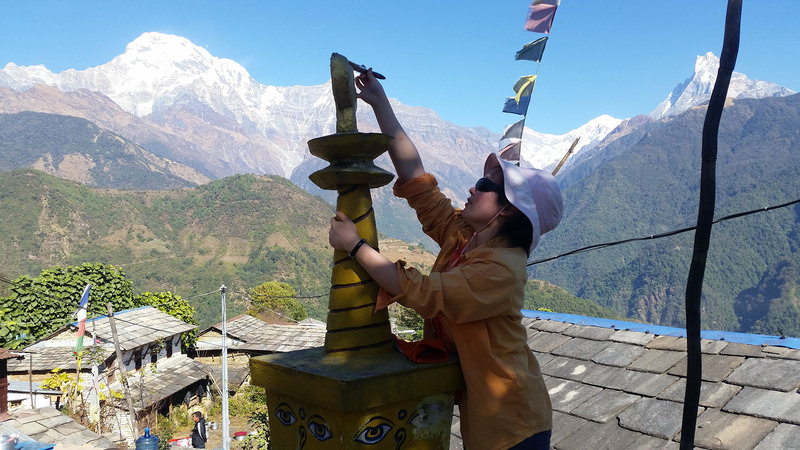 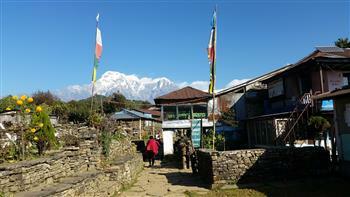 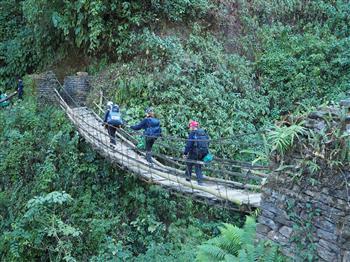 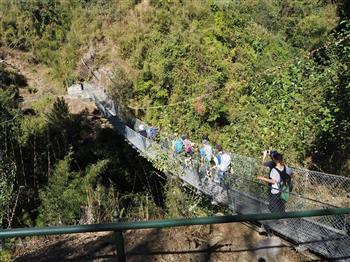 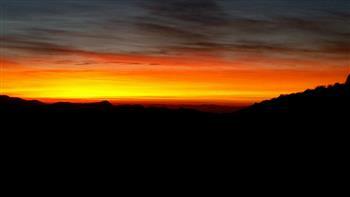 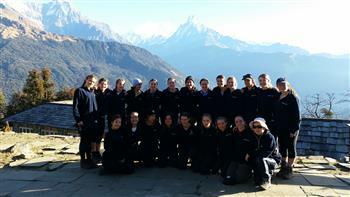 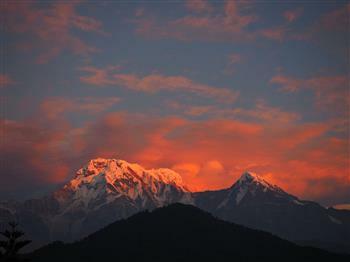 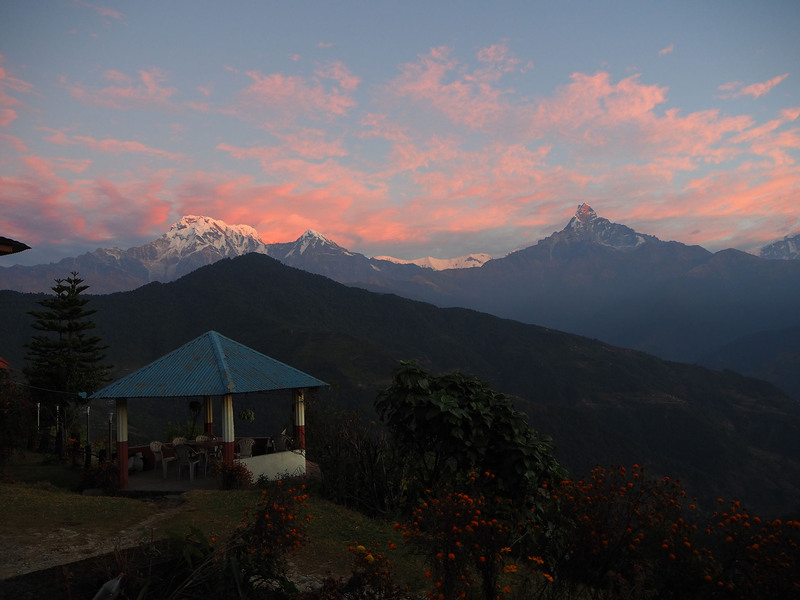 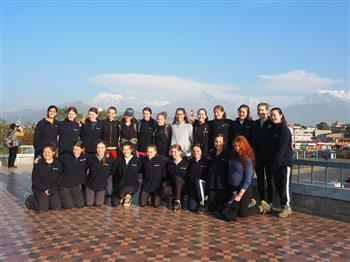 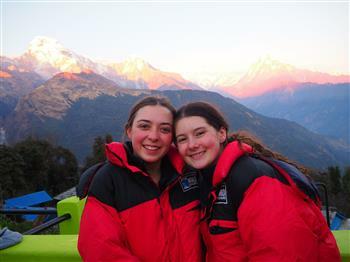 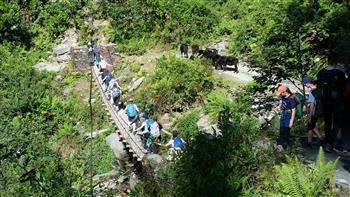 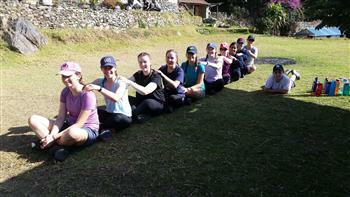 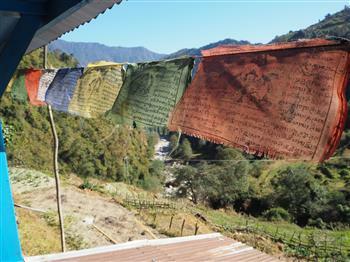 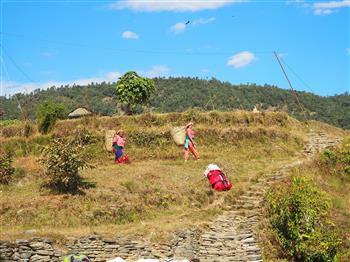 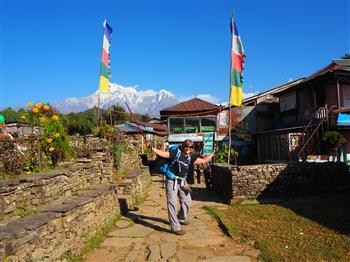 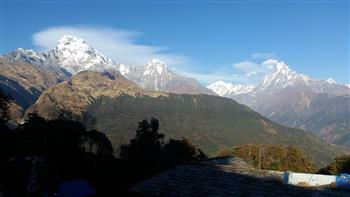 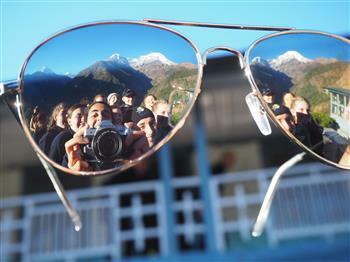 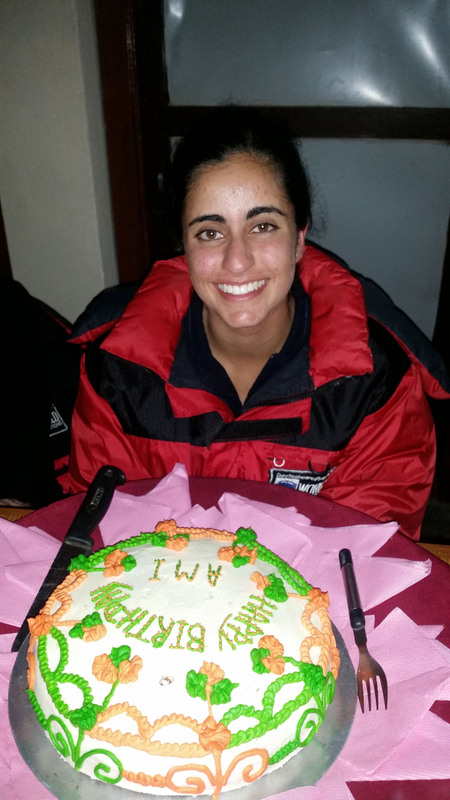 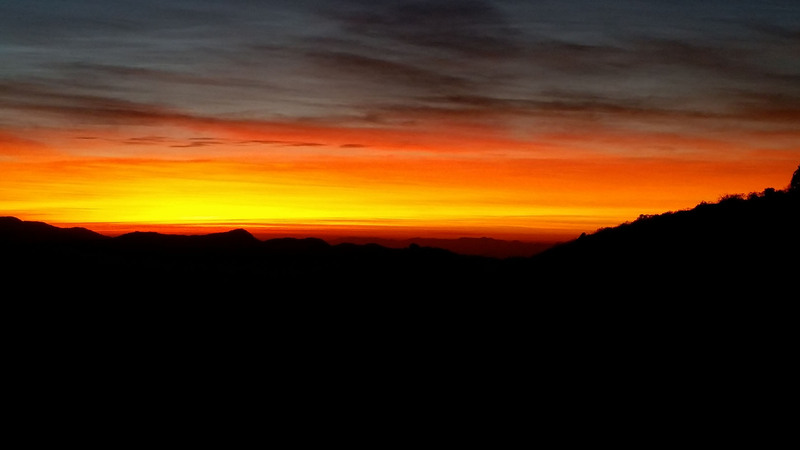 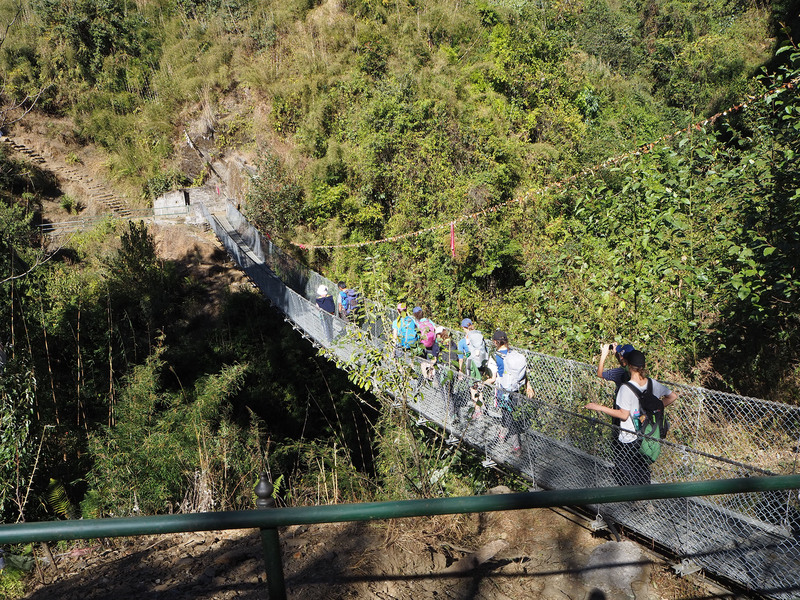 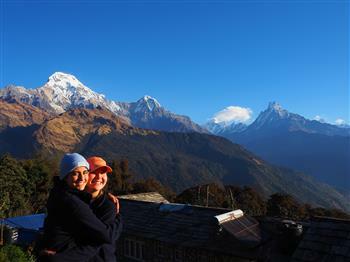 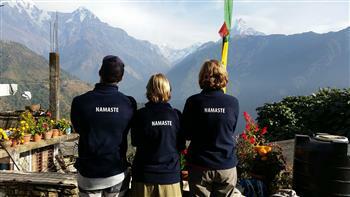 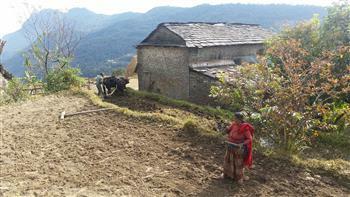 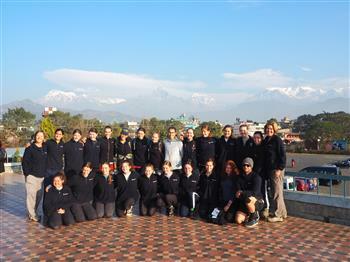 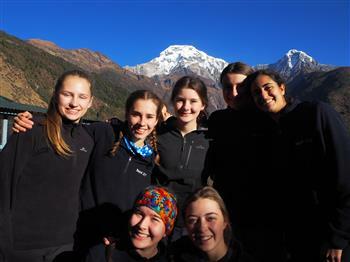 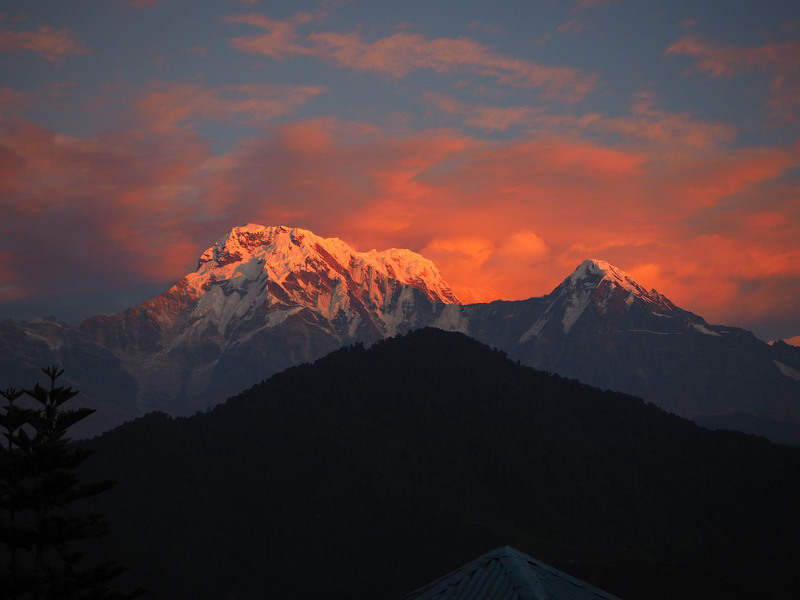 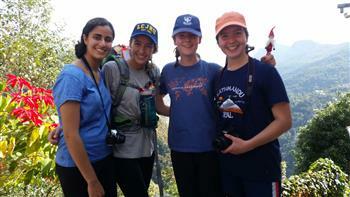 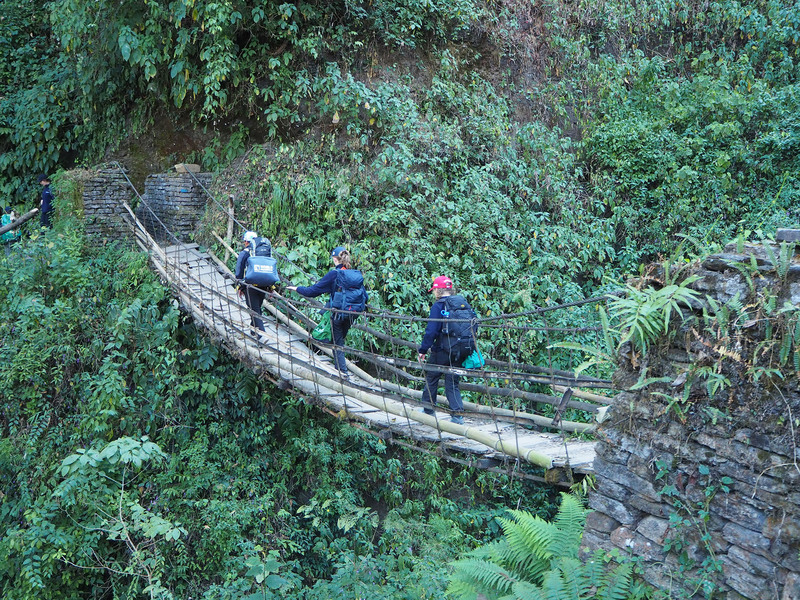 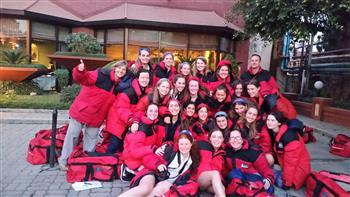 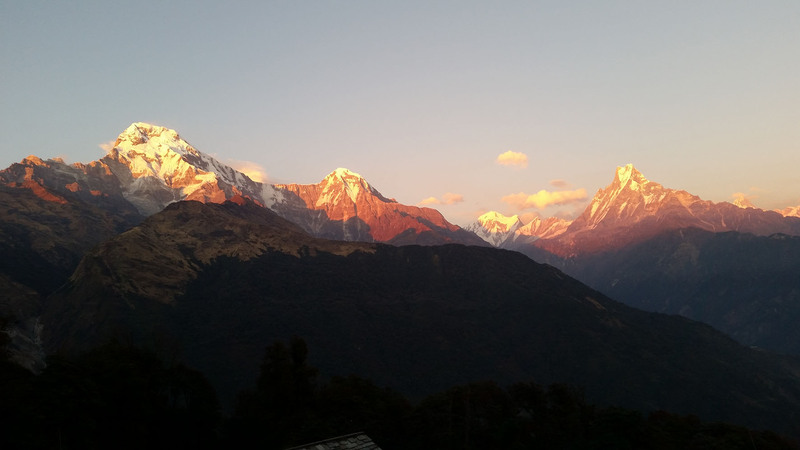 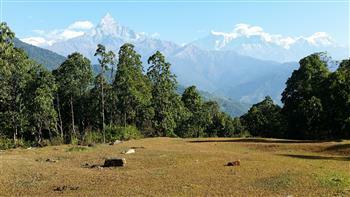 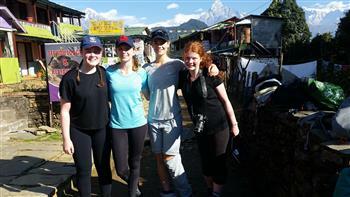 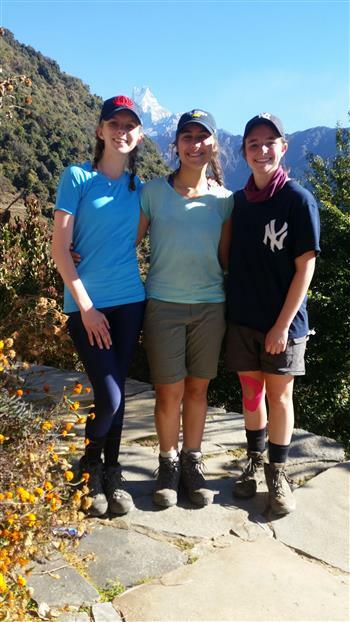 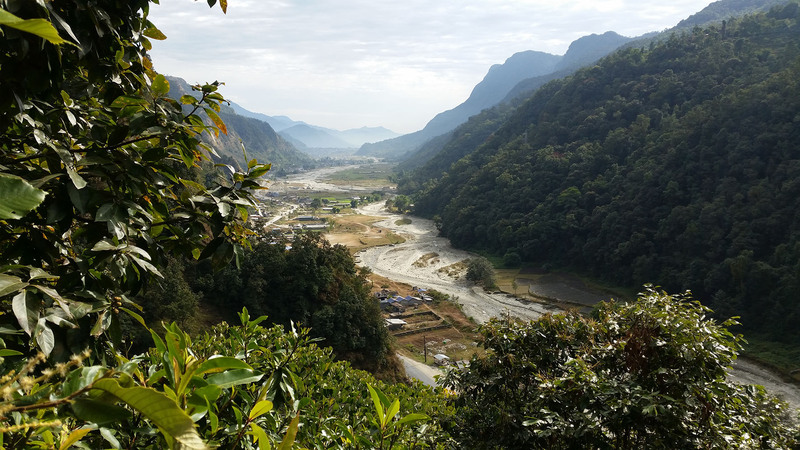 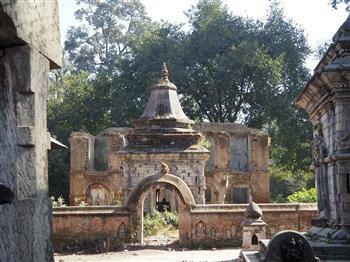 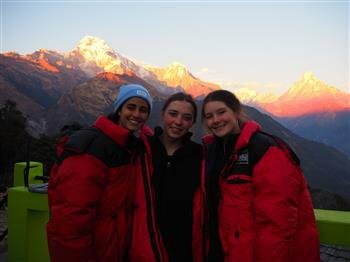 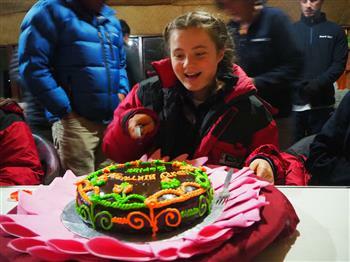 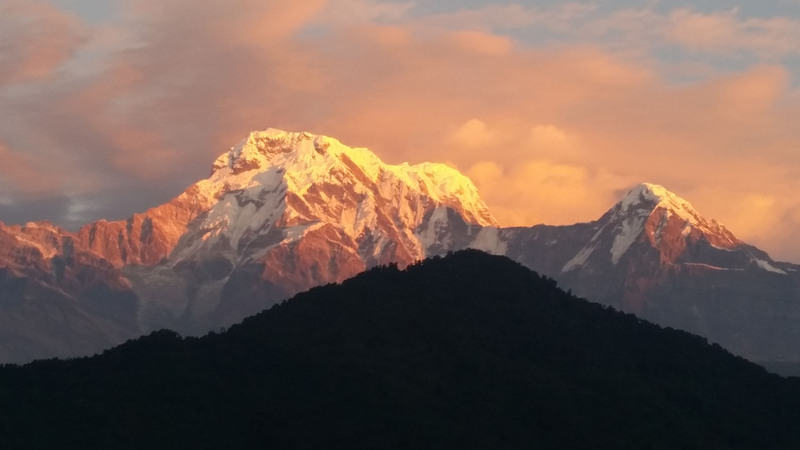 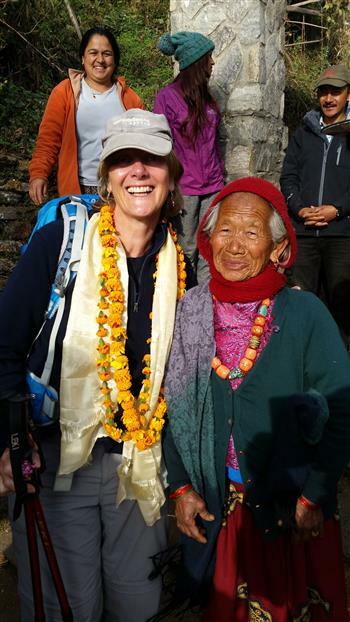 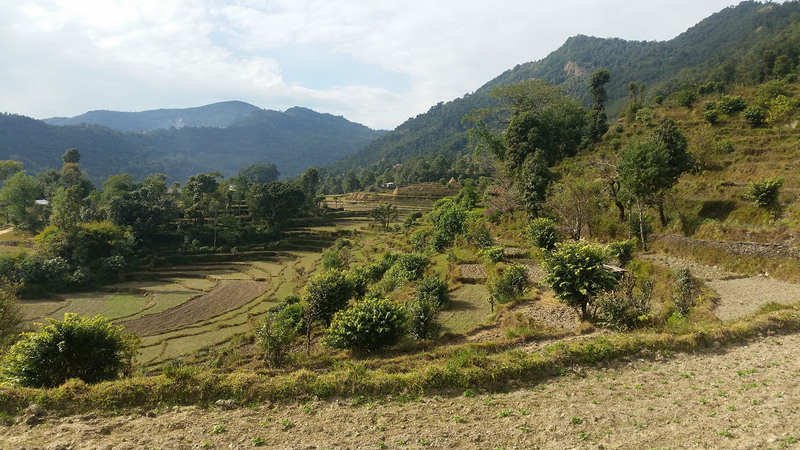 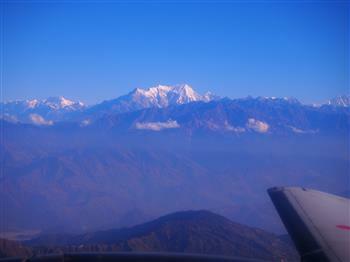 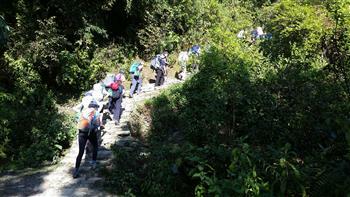 It was the last day of trekking on our service and leadership tour in the Annapurna region of Nepal. We had walked for five hours - 14,000 steps. 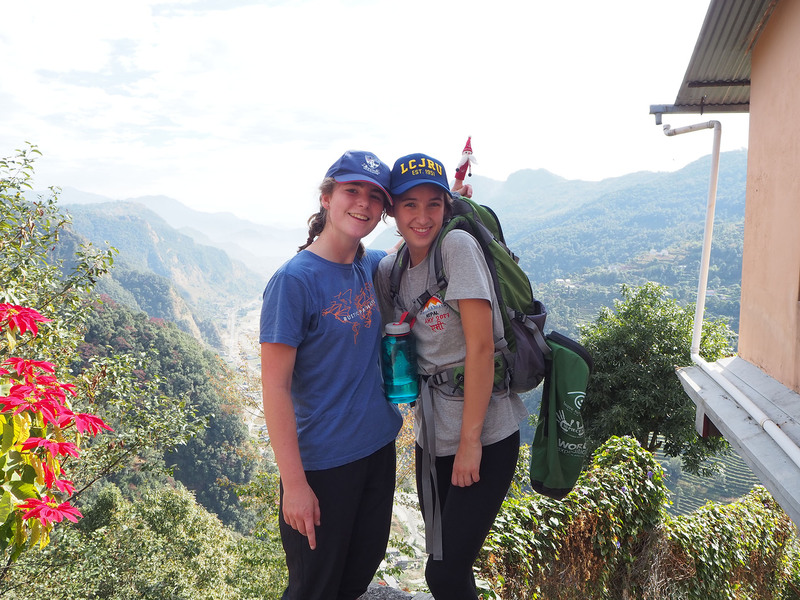 We were tired and emotionally exhausted after climbing what felt like an endless flight of stairs. 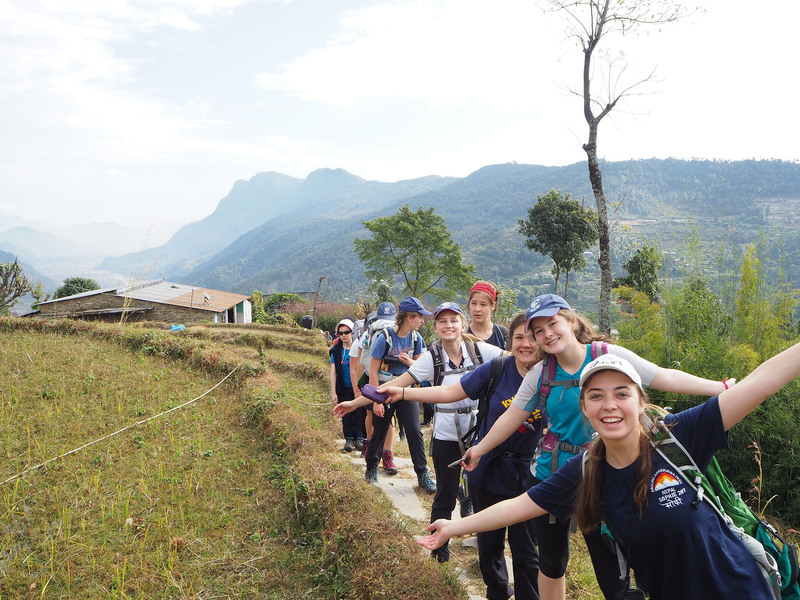 But nothing could have prepared us for the overwhelming emotion we felt at receiving such a heartfelt welcome from the Ghundruk community. 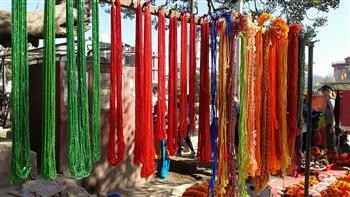 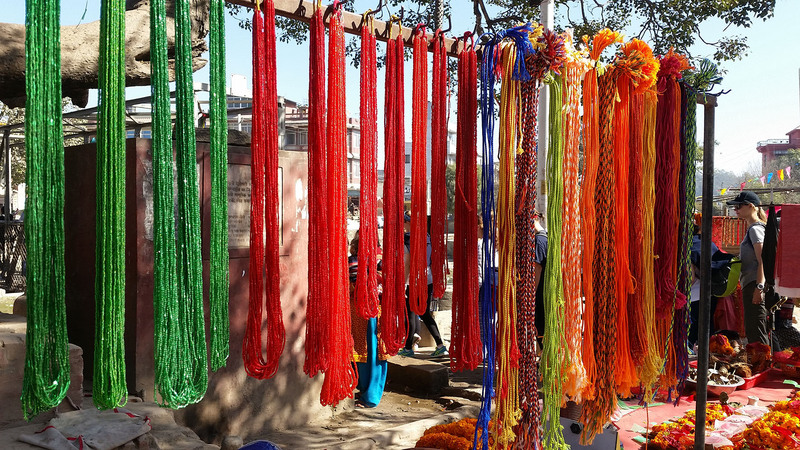 Located in a remote village in central-north Nepal, the local people greeted us with handmade leis of bright orange flowers and silk Buddhist scarves, which symbolise good luck and compassion. 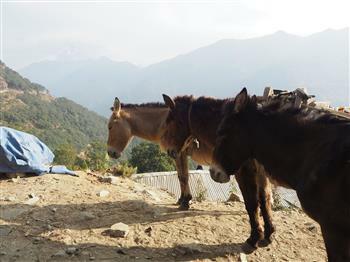 They had so little but gave us so much. 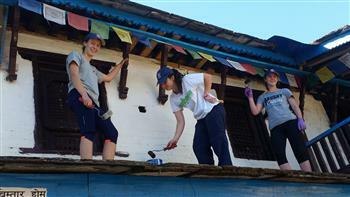 Thankfully we had an opportunity to give back to them. 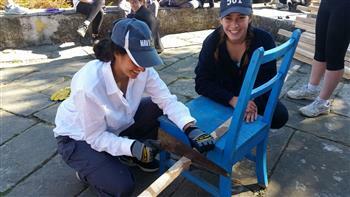 We spent three days in service, working together to improve their medical staff headquarters. The medical centre provides care to a village of more than 4000 people, who live at the same altitude as Mt Kosciuszko, Australia’s highest peak. 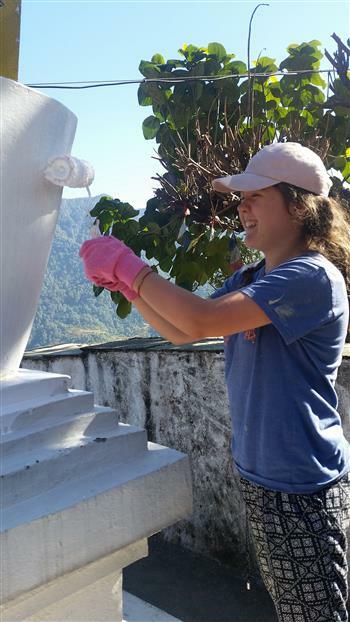 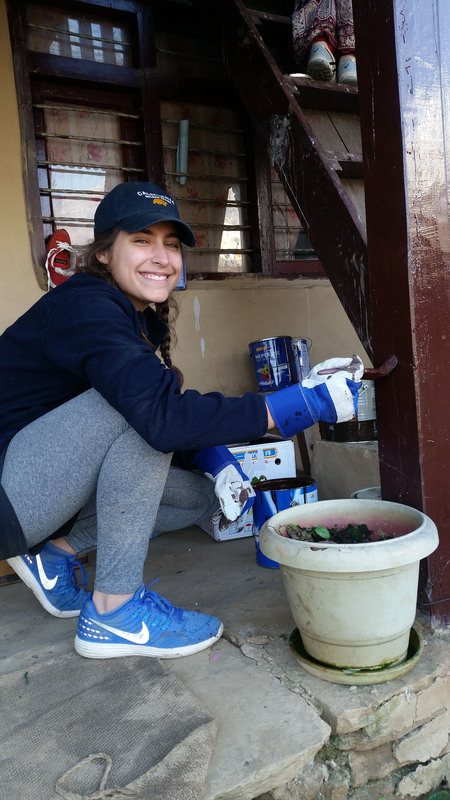 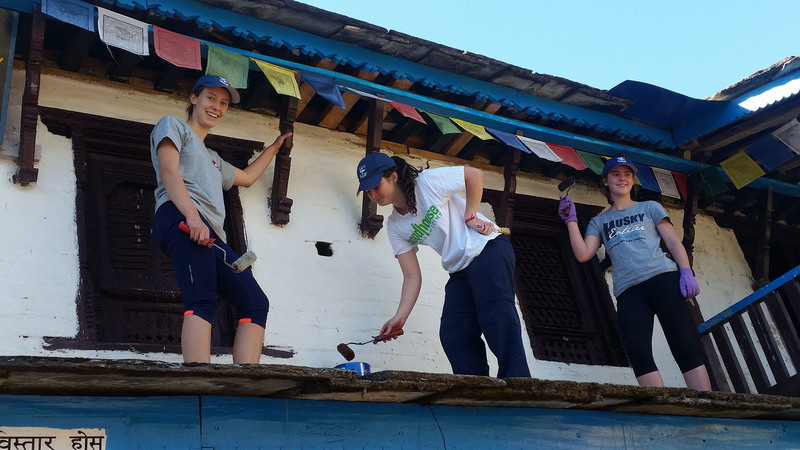 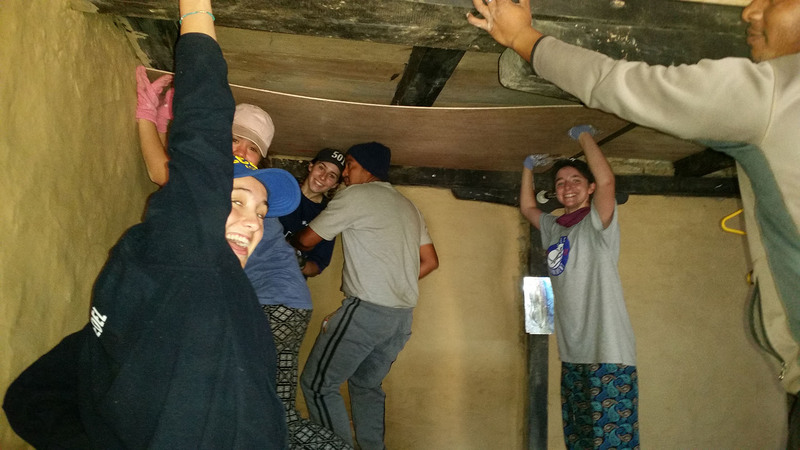 Throughout the course of our stay, we were kept busy painting walls, varnishing ceilings and installing doors and roofing. 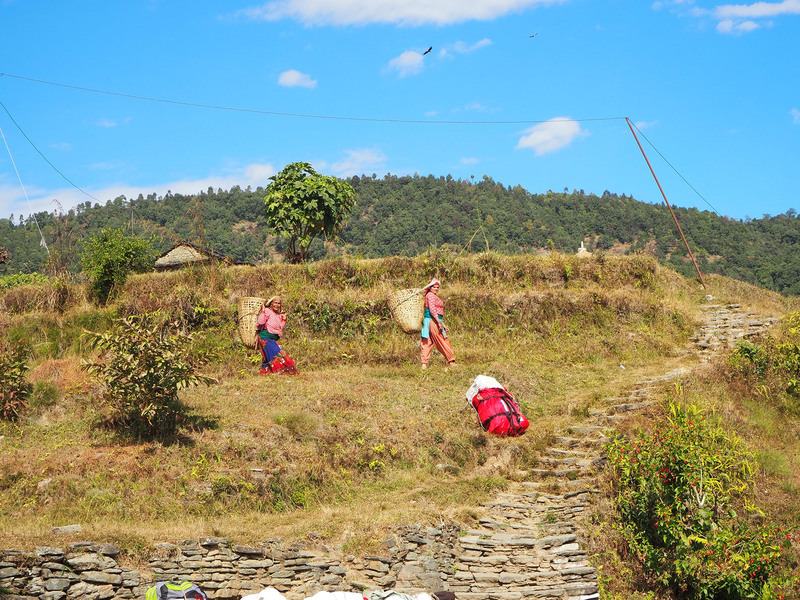 The Ghundruk people were so grateful for our work. They said we had changed their lives, which was so touching. 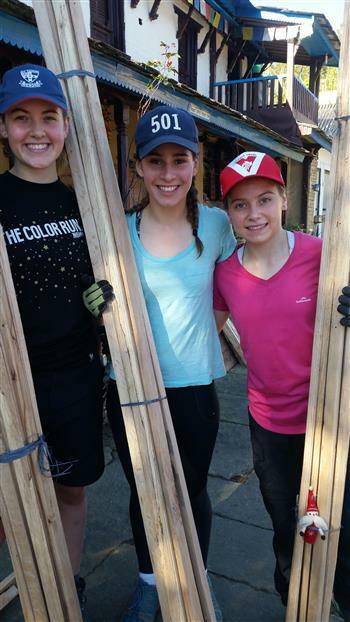 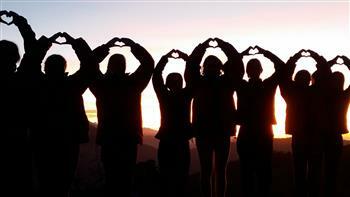 It felt great to be embracing our school motto, Ut Prosim, that I may serve, and give back to this wonderful community. 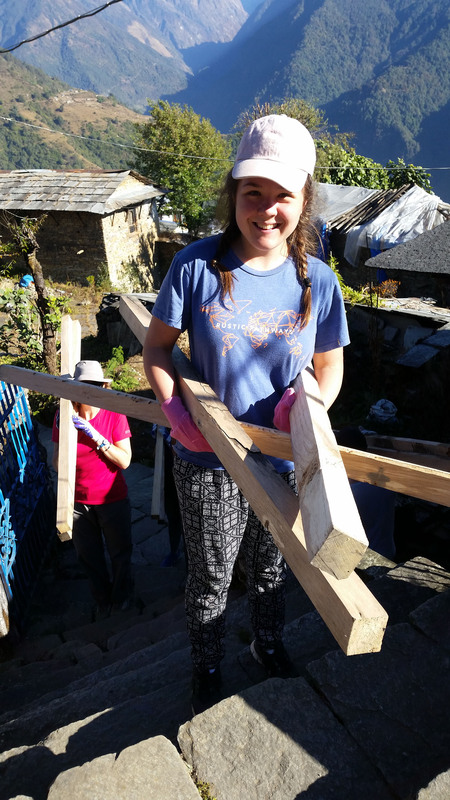 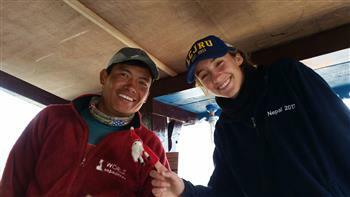 The opportunity to meet the doctors and nurses, work closely together as a team, and even pick up a few woodwork skills along the way, was a highlight of our journey. 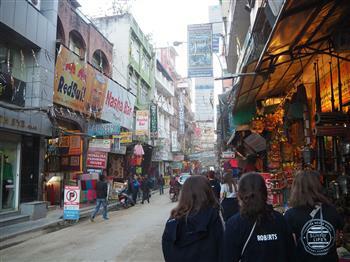 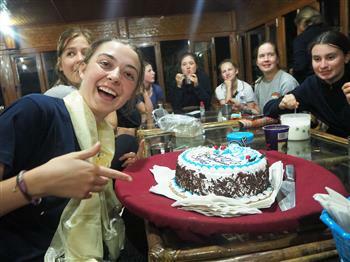 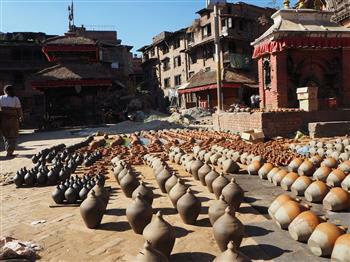 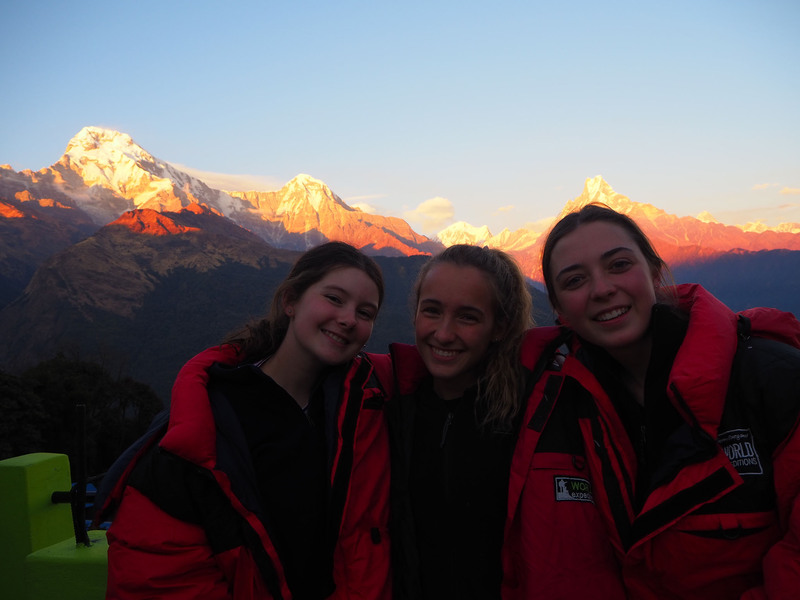 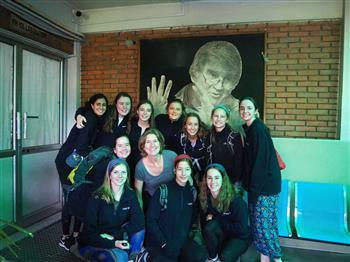 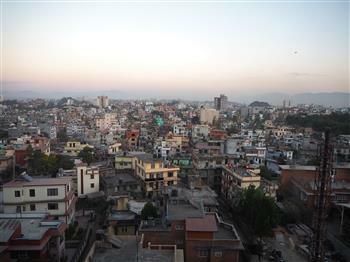 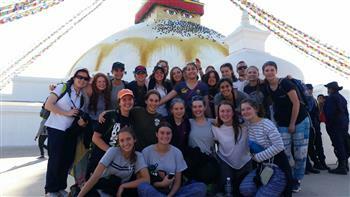 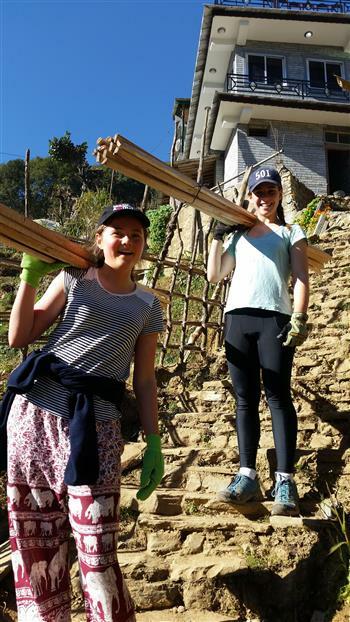 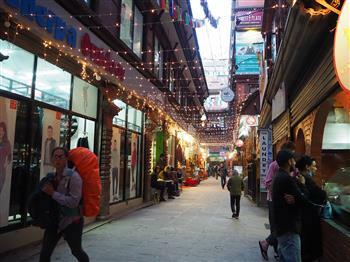 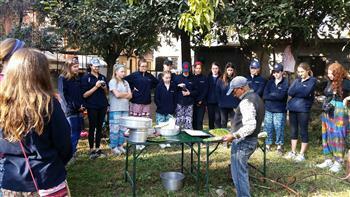 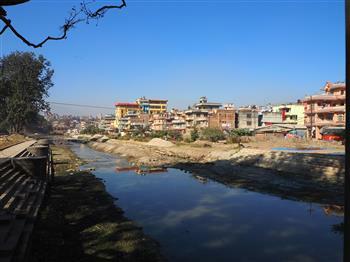 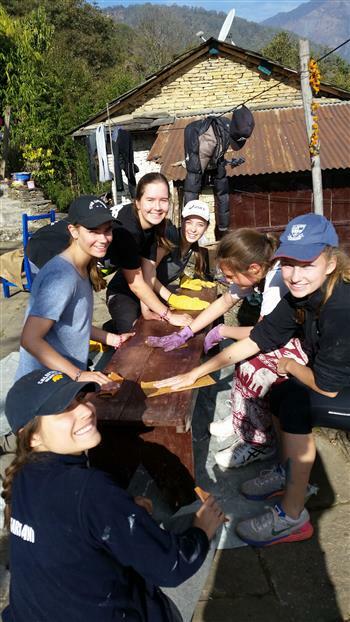 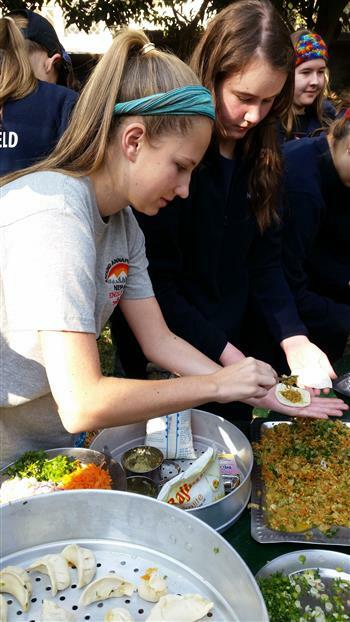 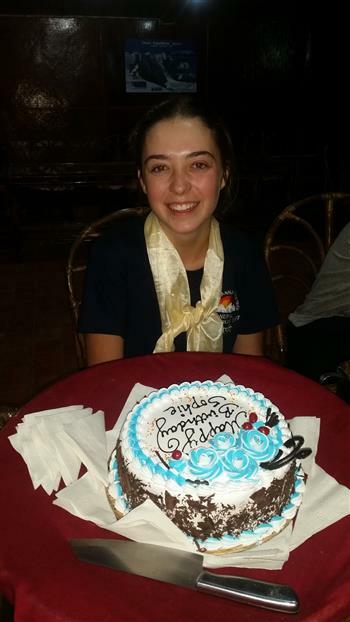 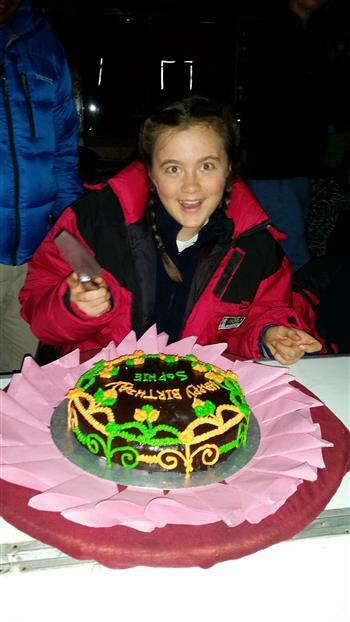 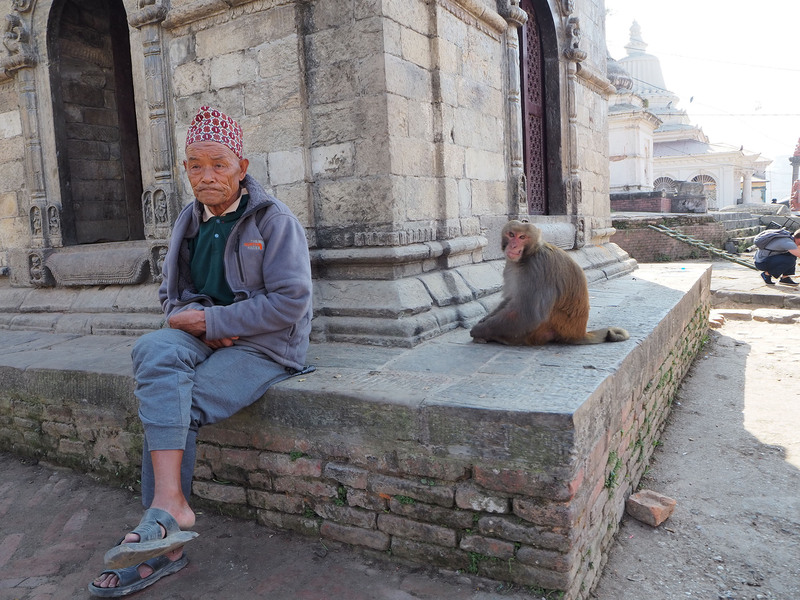 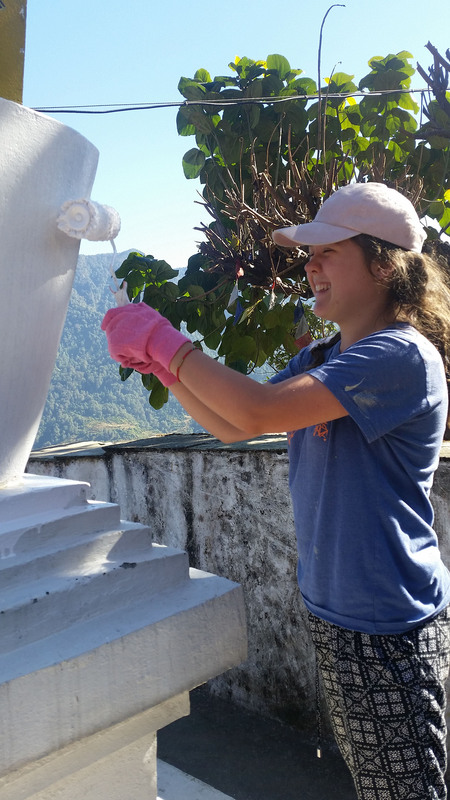 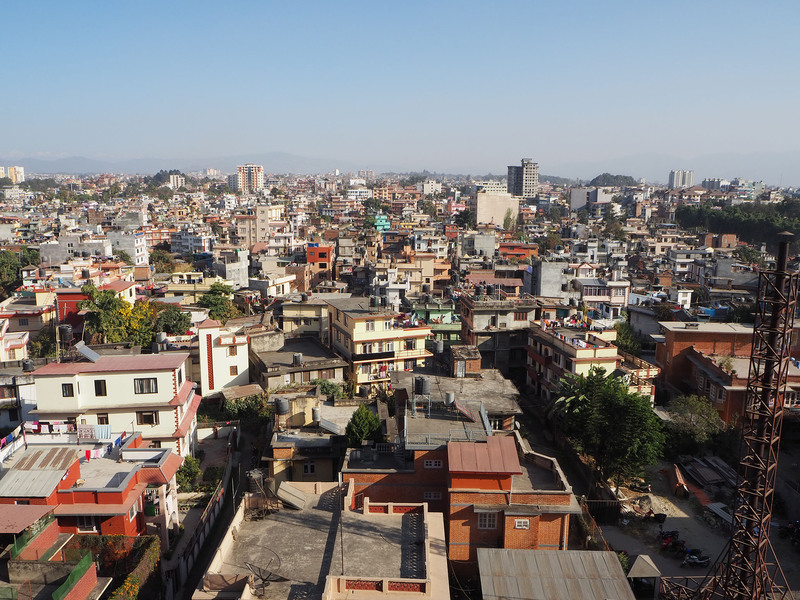 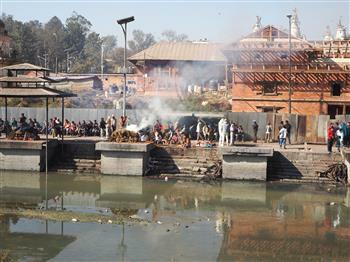 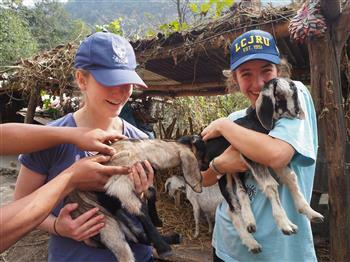 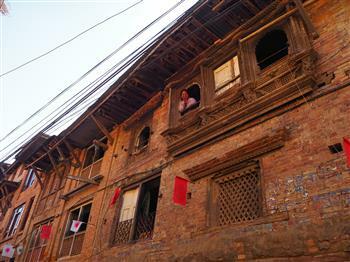 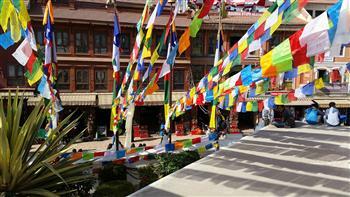 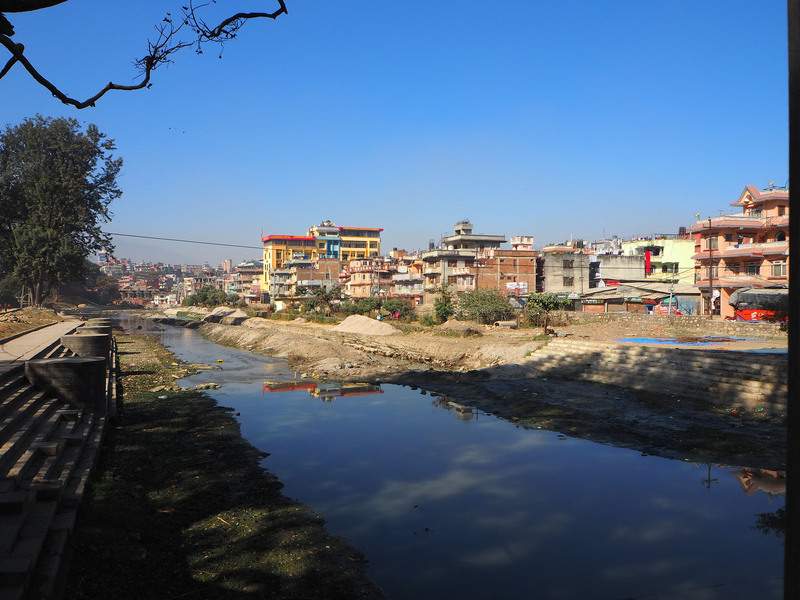 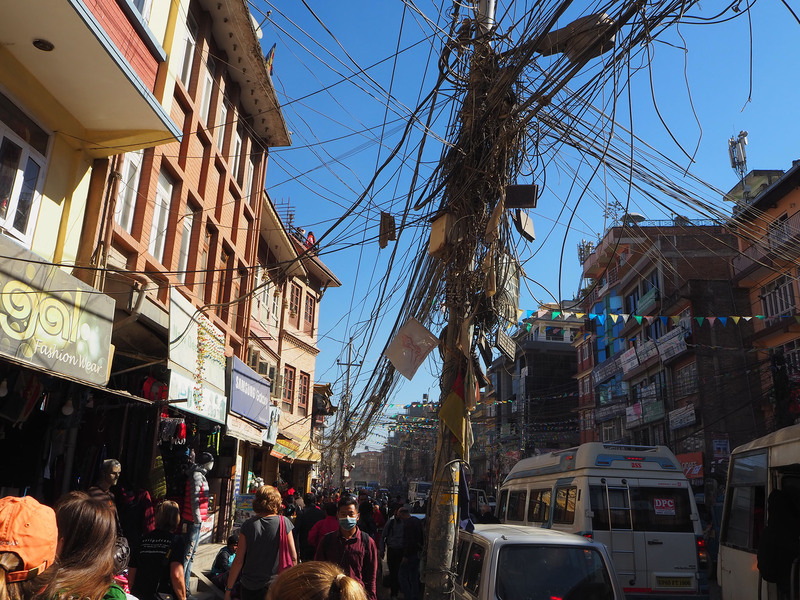 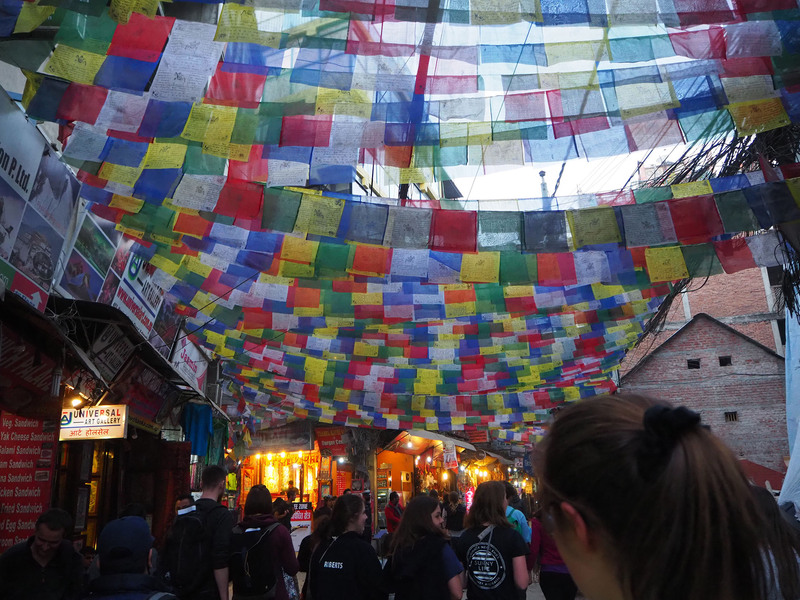 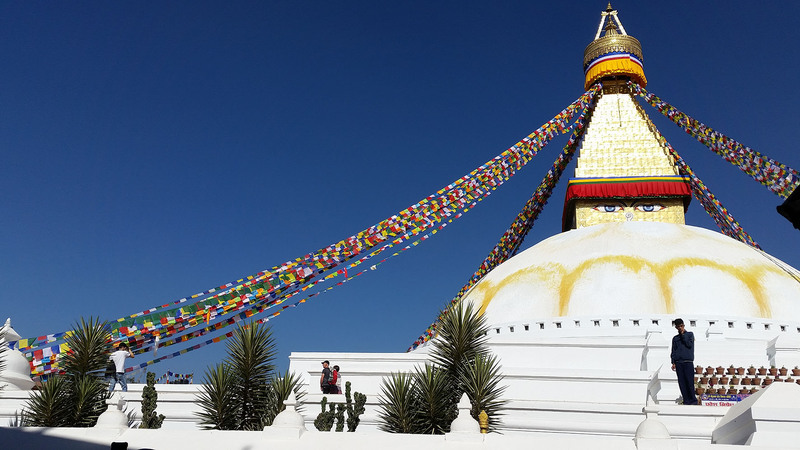 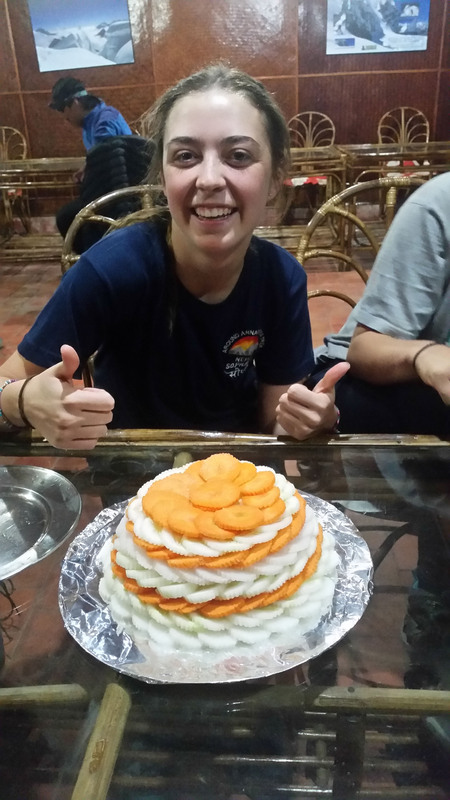 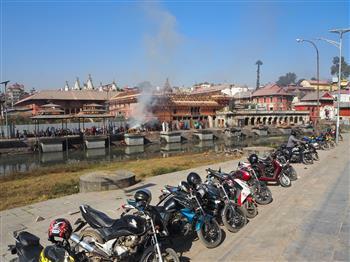 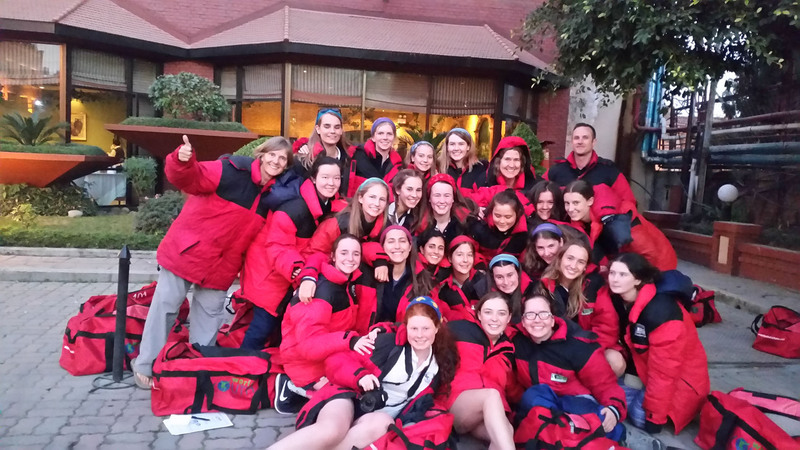 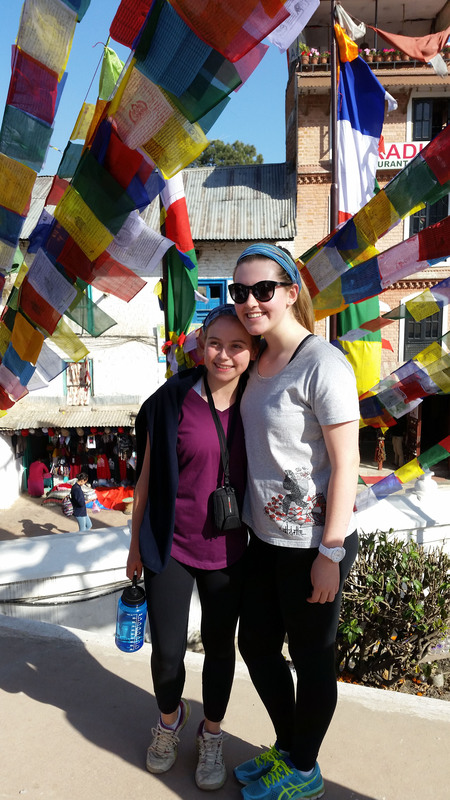 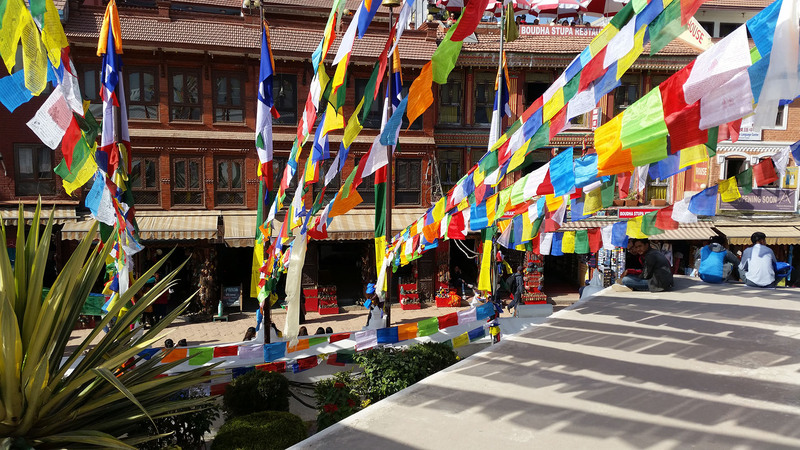 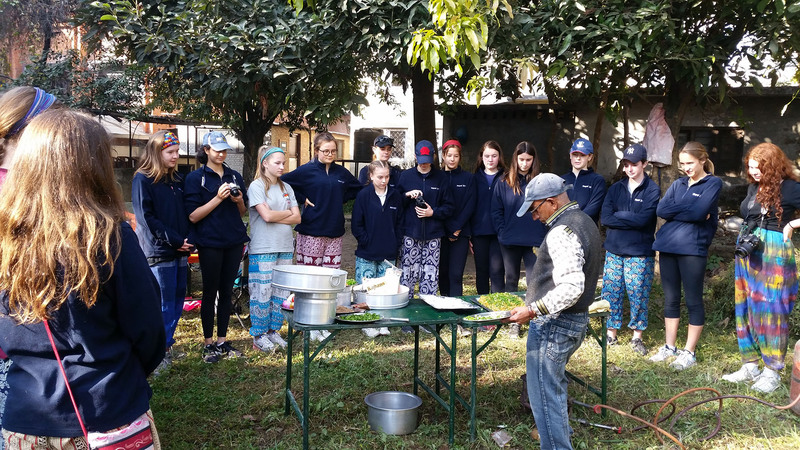 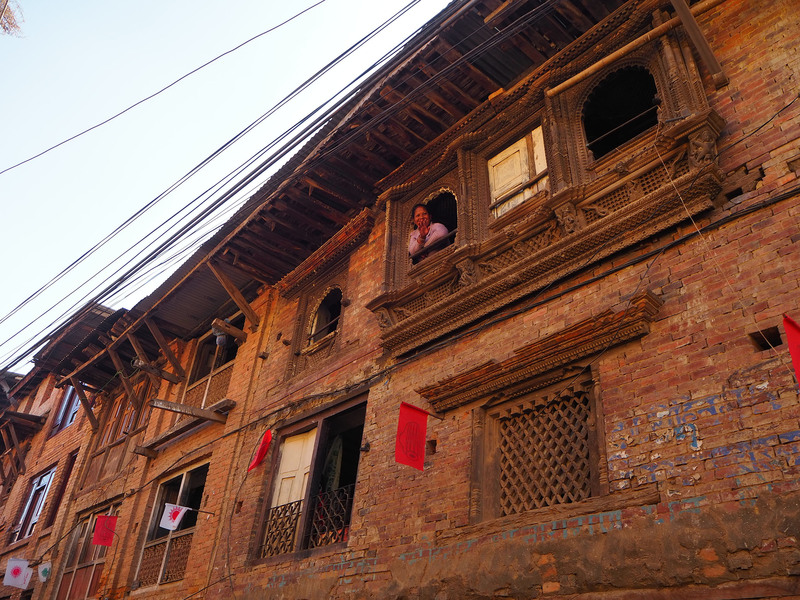 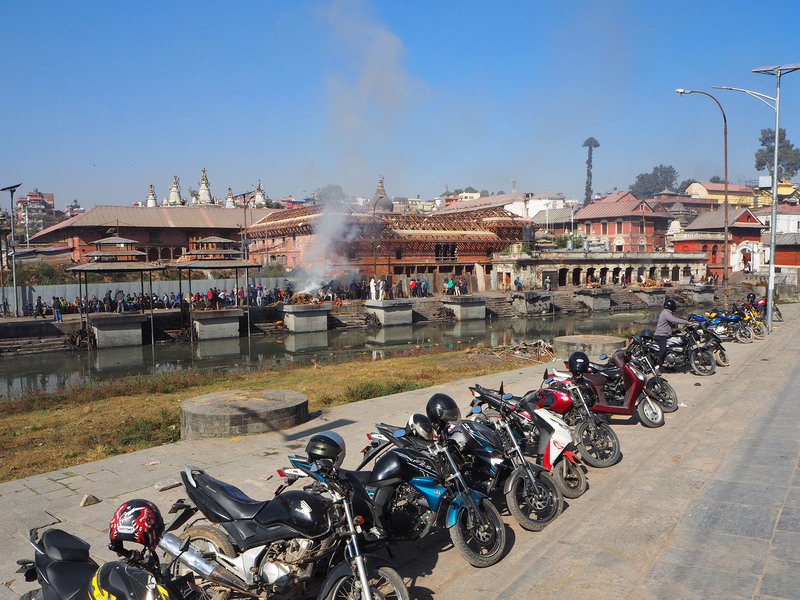 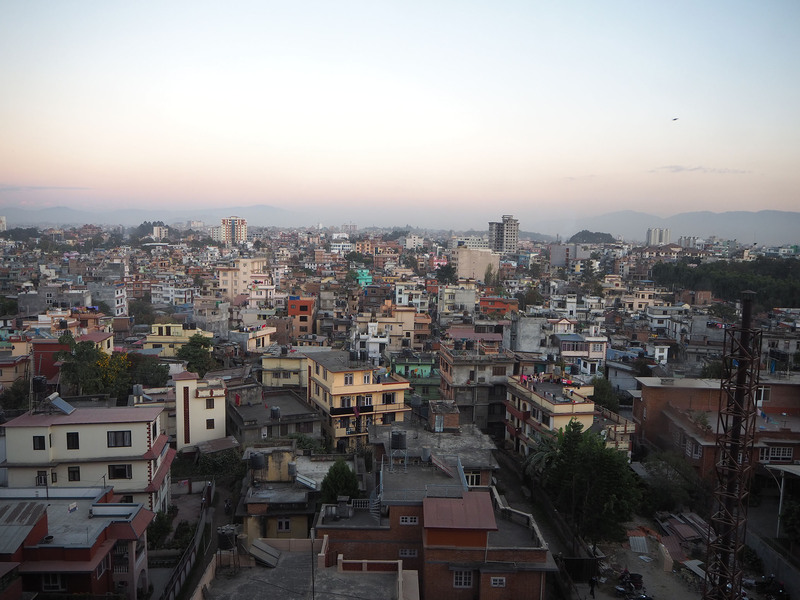 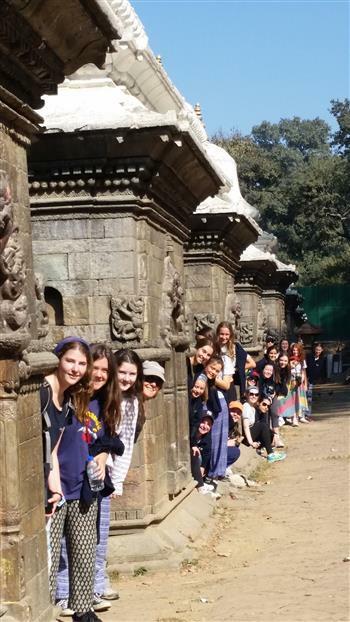 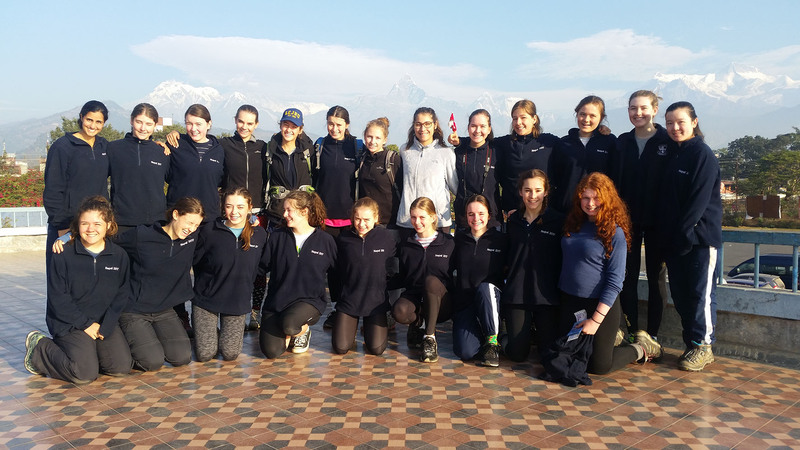 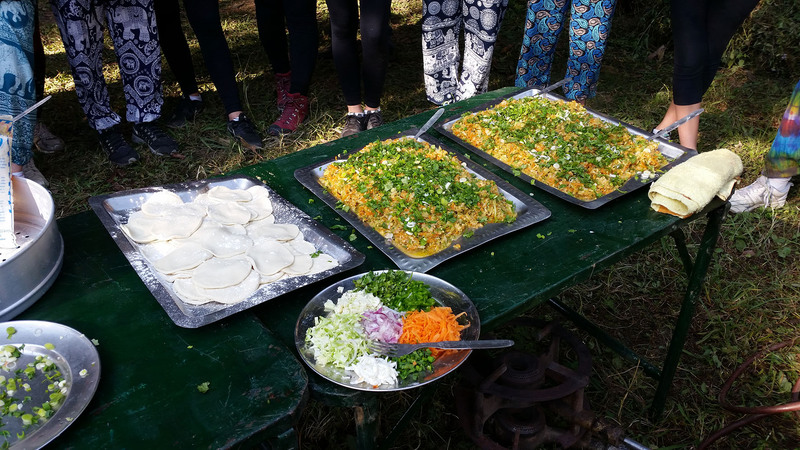 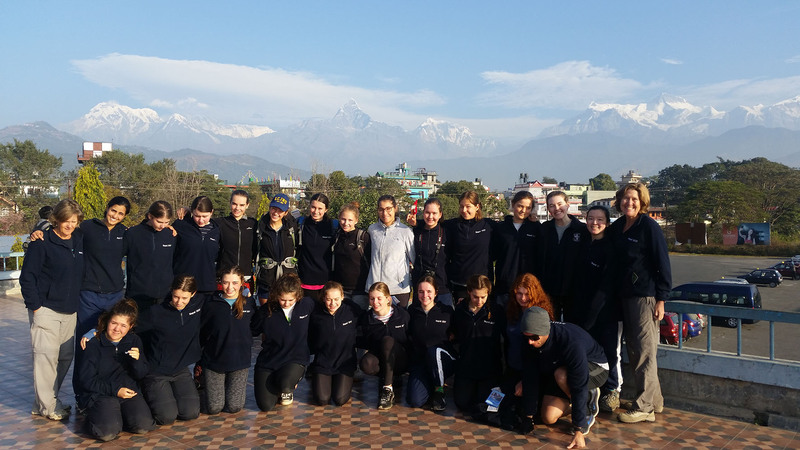 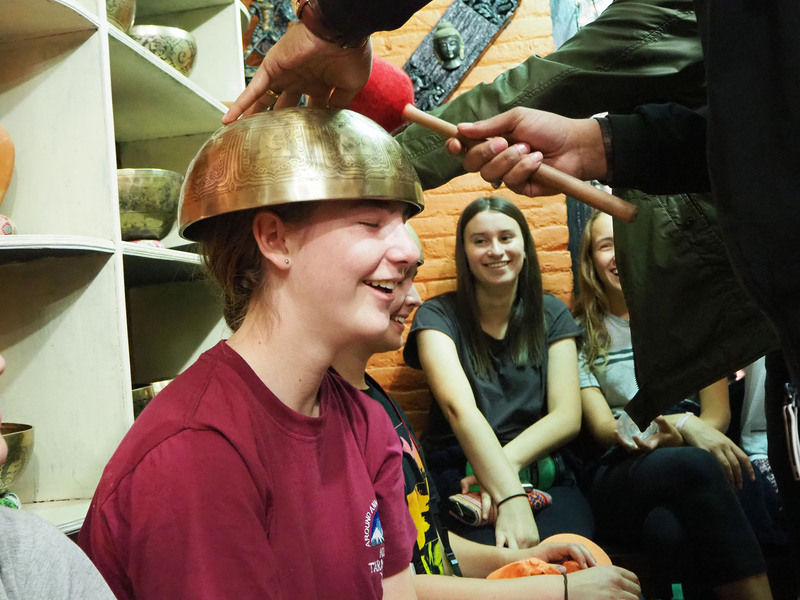 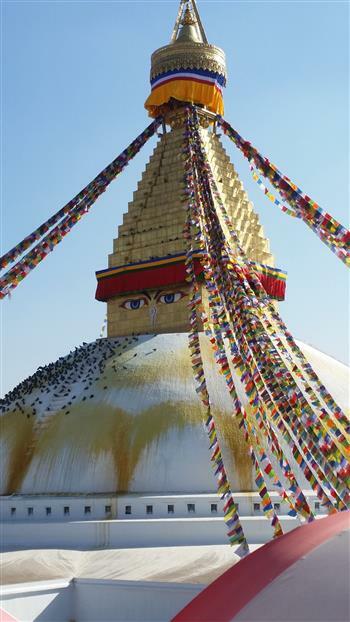 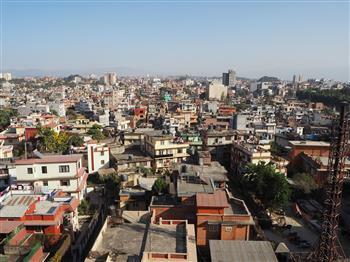 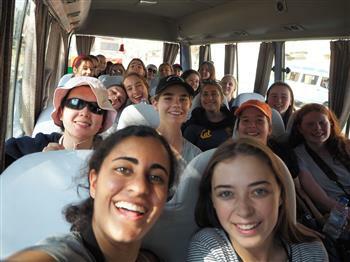 Our 16-day trip, led by Ms Horsham, Mr Kelly and Ms Verge, included sightseeing in Kathmandu, a tour of the Fred Hollow’s Eye Foundation, a momo (dumpling) cooking class and visiting the markets at Pokhara. 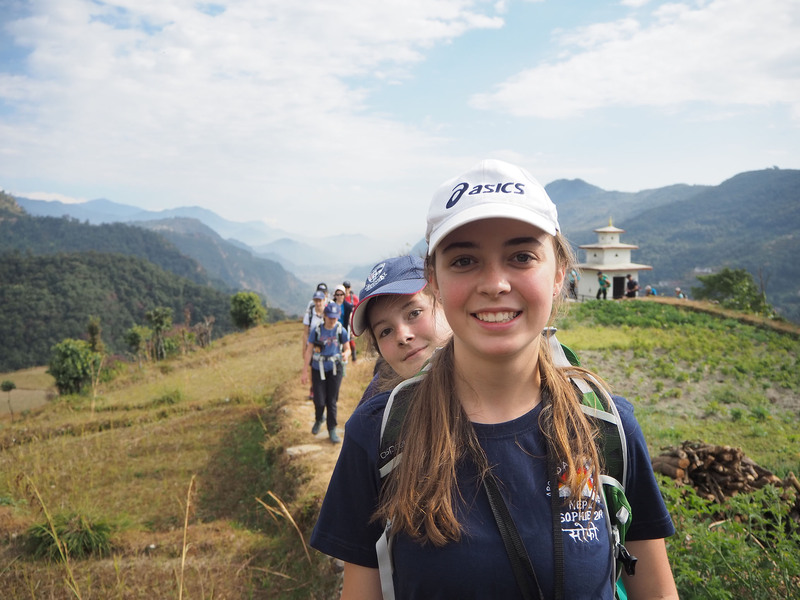 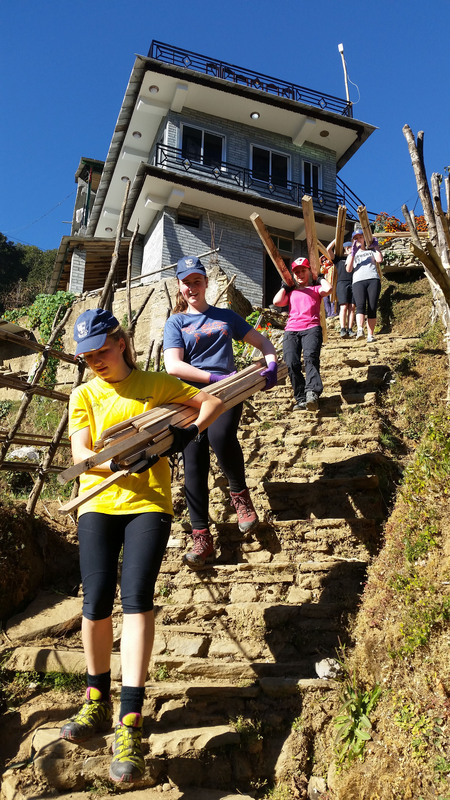 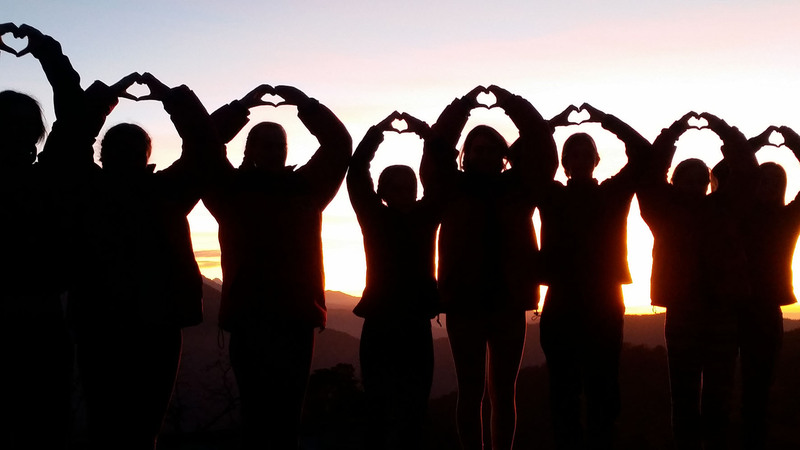 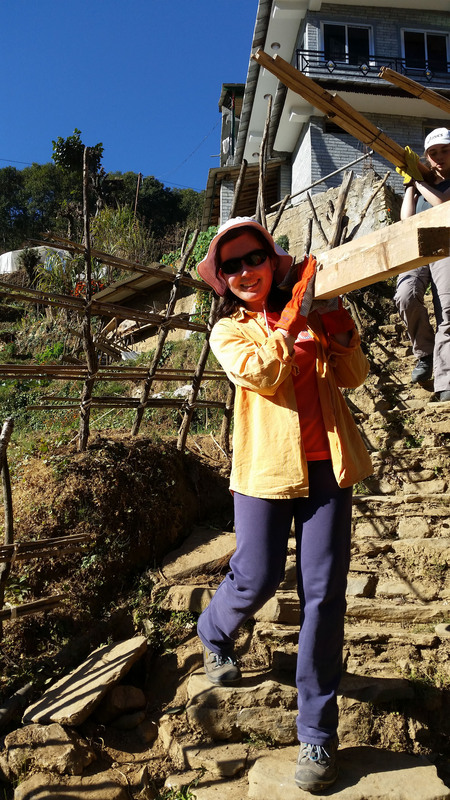 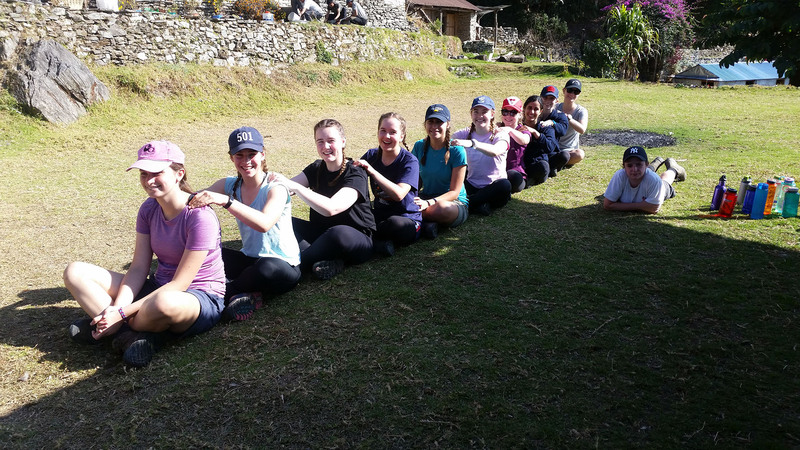 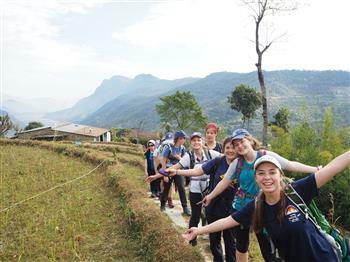 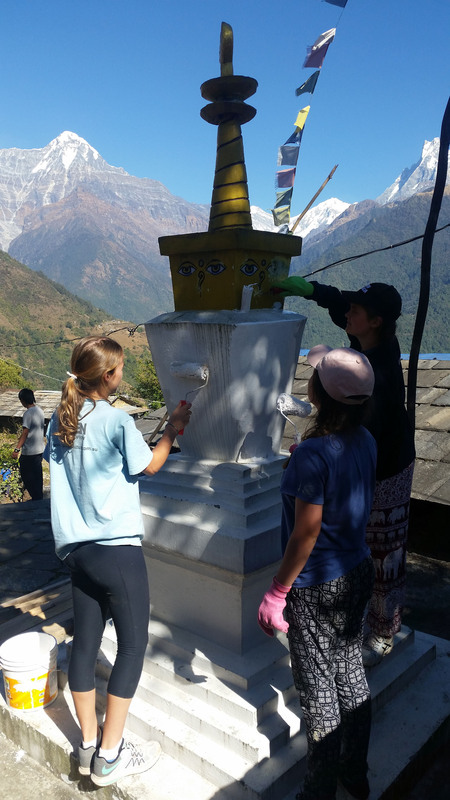 Not only was it a true insight into the beauty of the mountains and the culture of the Nepalese people, but it was a chance to embrace our leadership skills and to give back to others who live very different lives from our own. 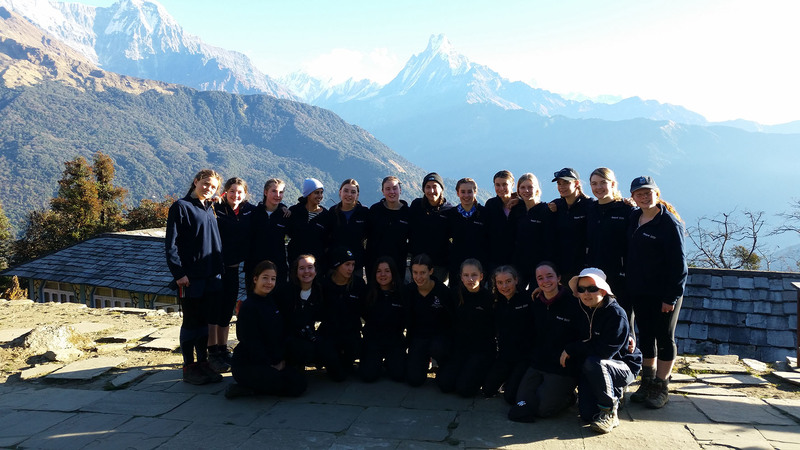 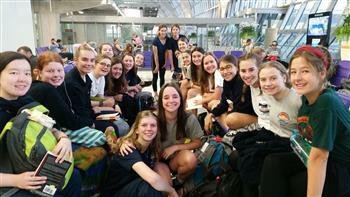 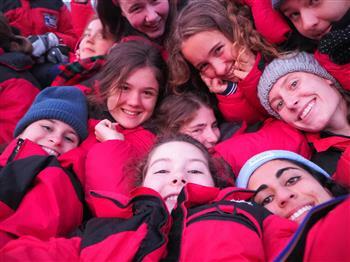 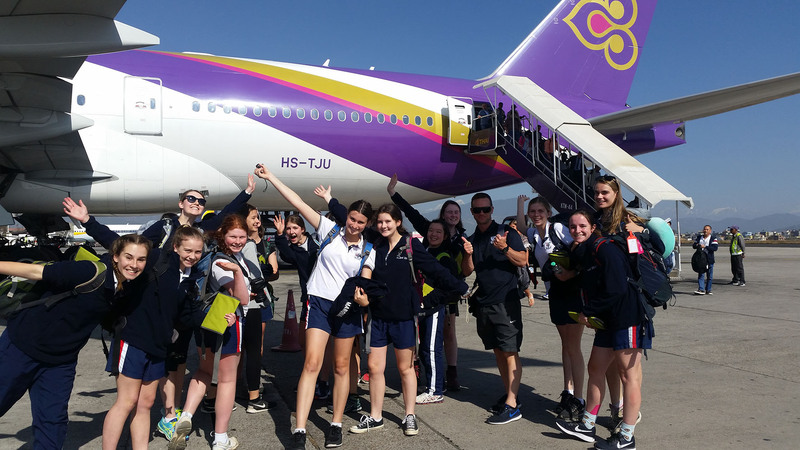 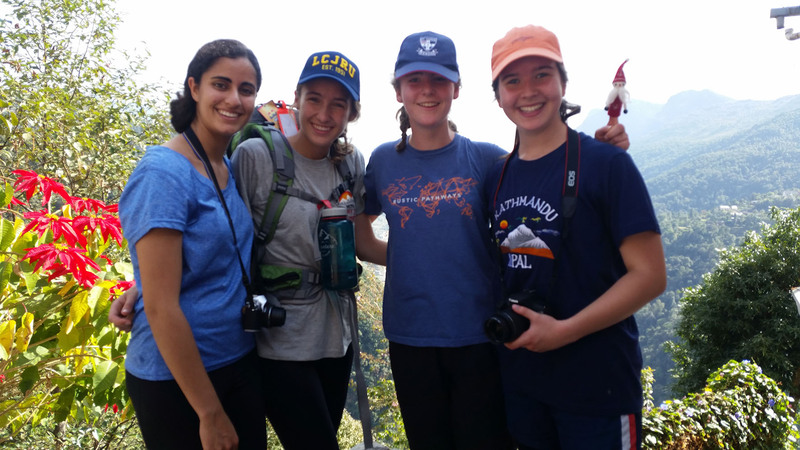 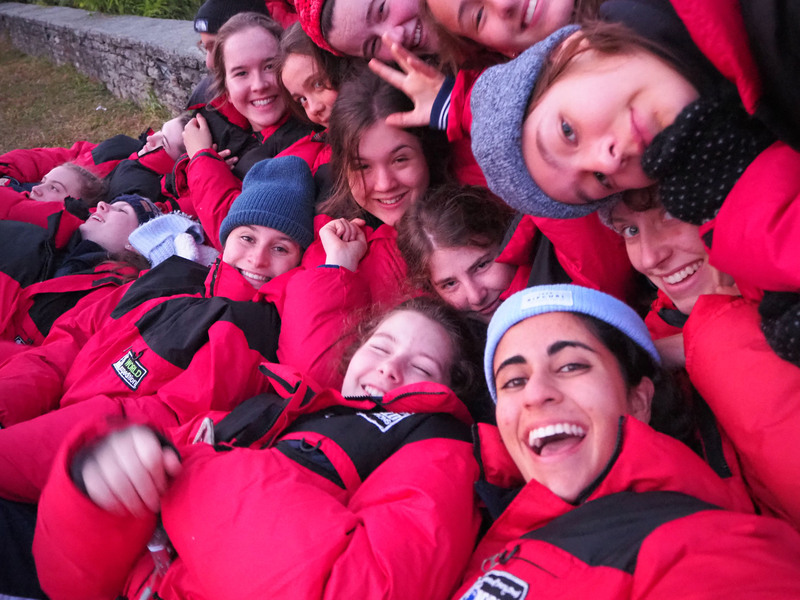 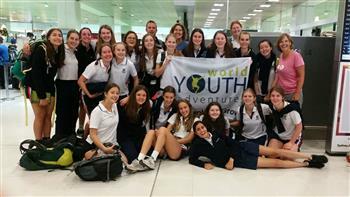 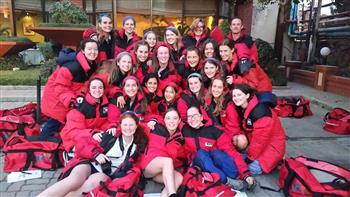 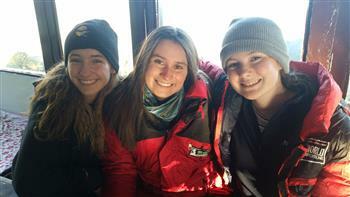 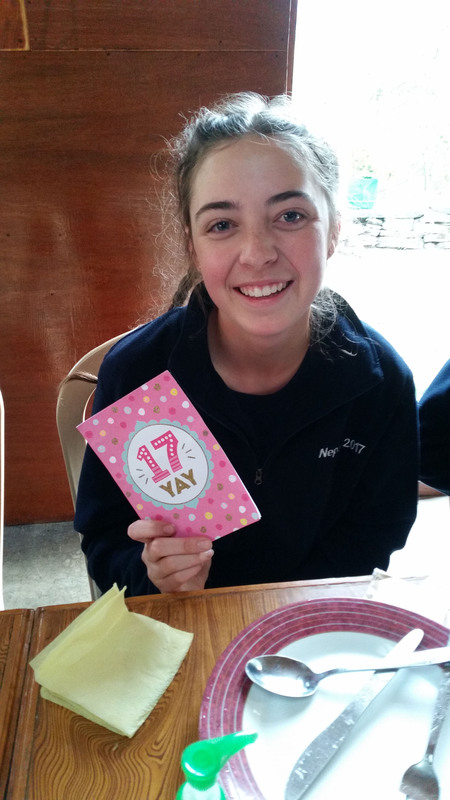 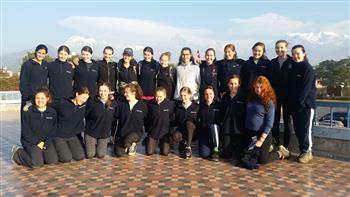 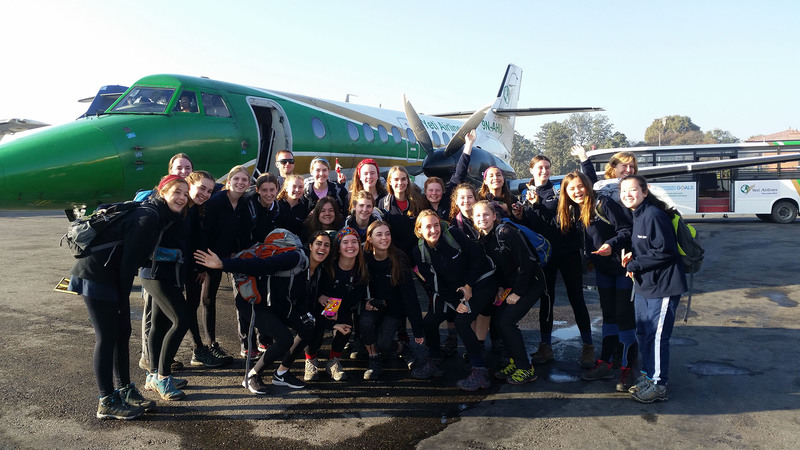 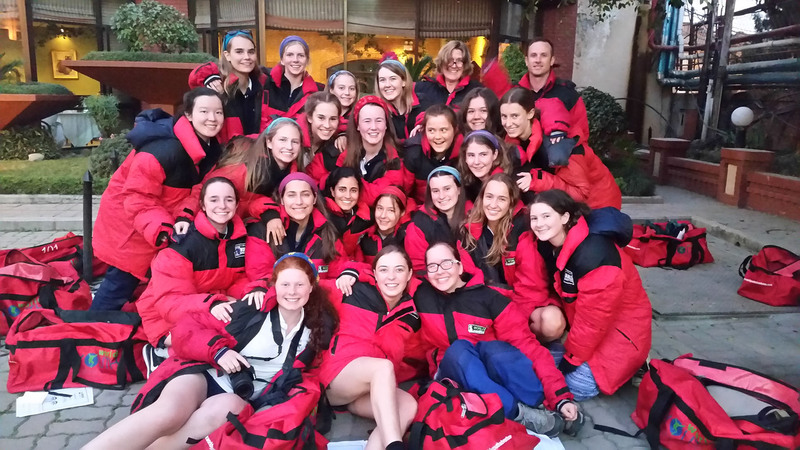 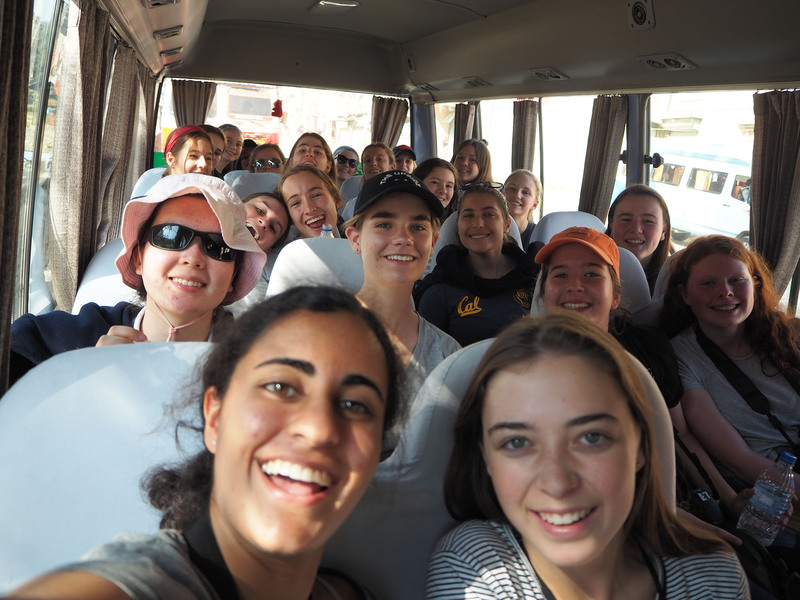 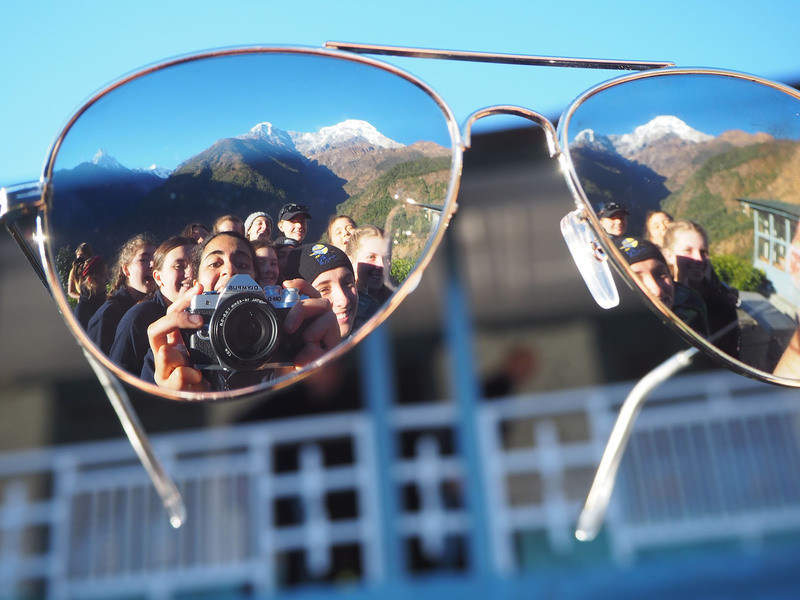 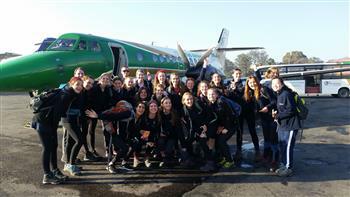 It was a trip that changed the lives of the 24 girls from Years 11 and 12 who took part, and it reset our values as we prepare for our final years at Wenona.